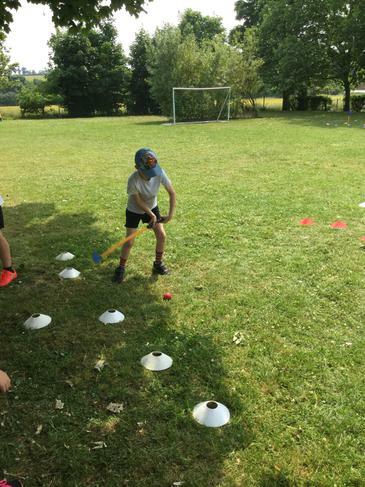 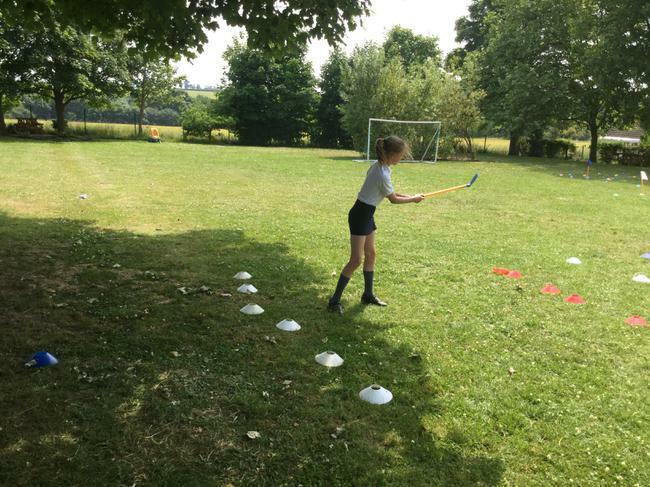 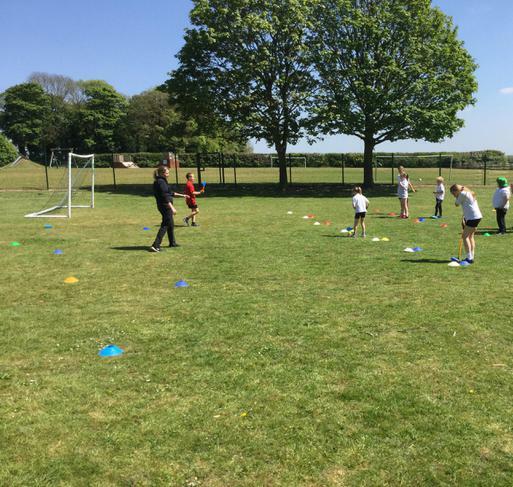 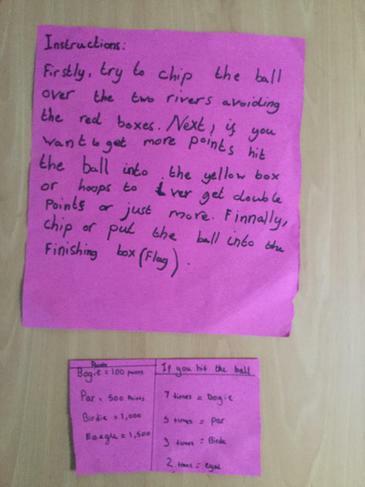 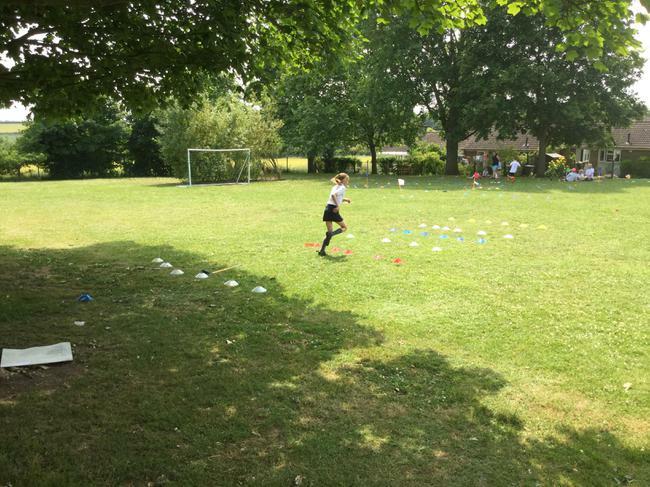 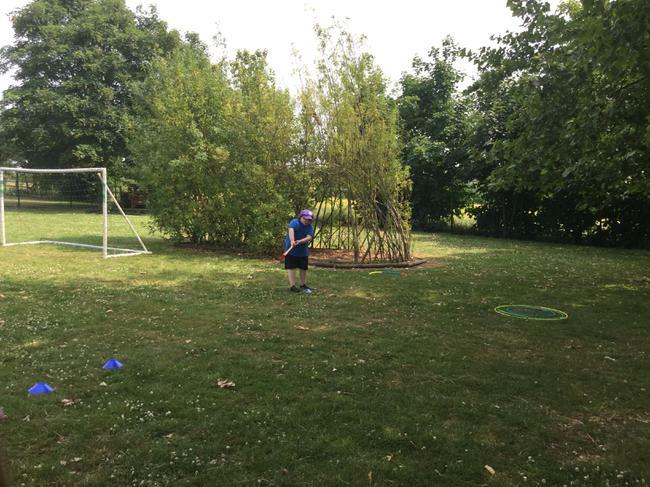 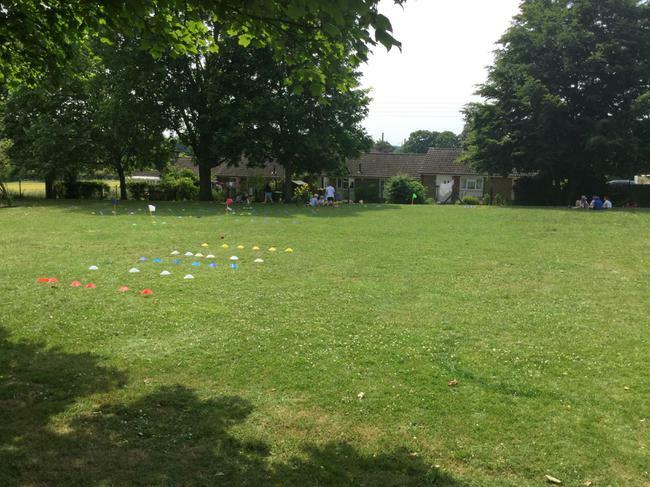 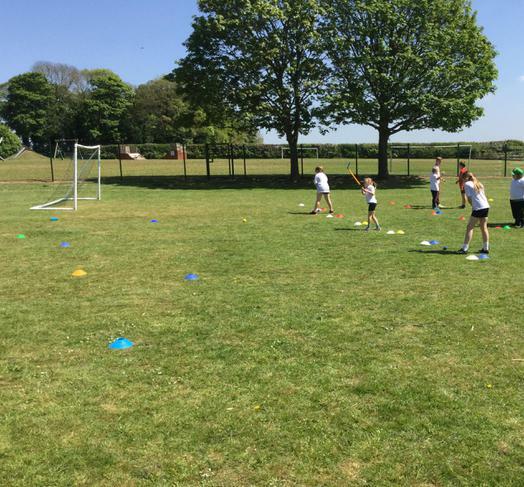 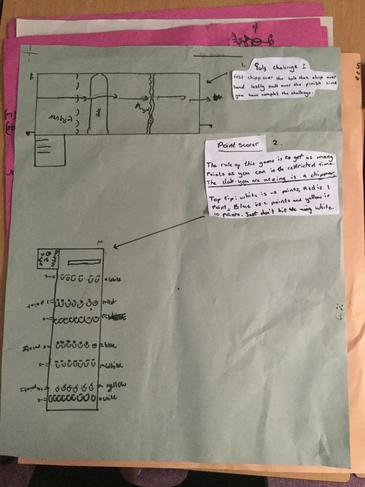 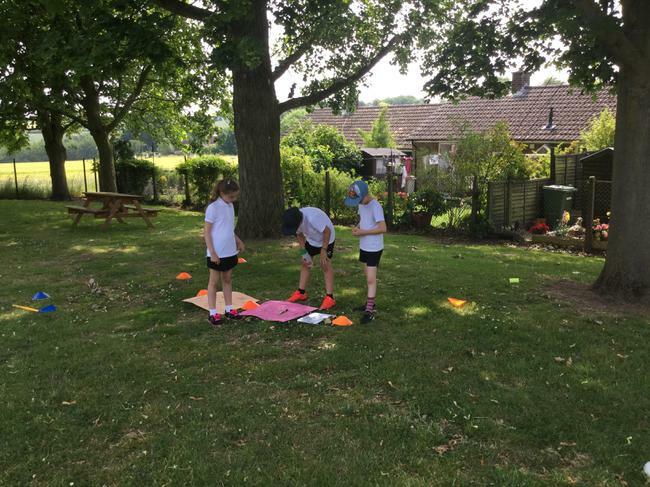 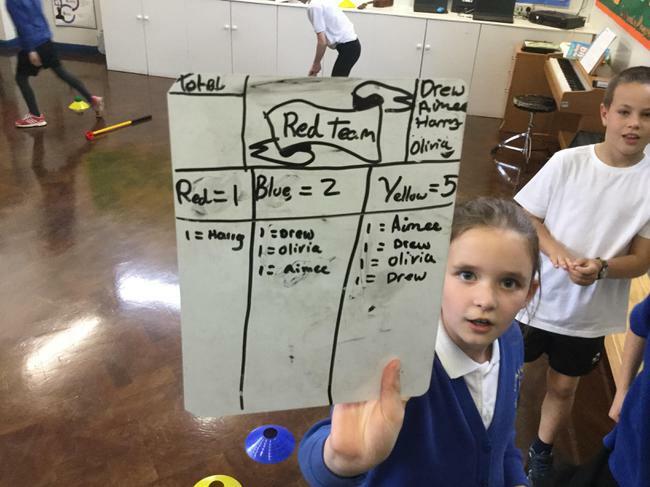 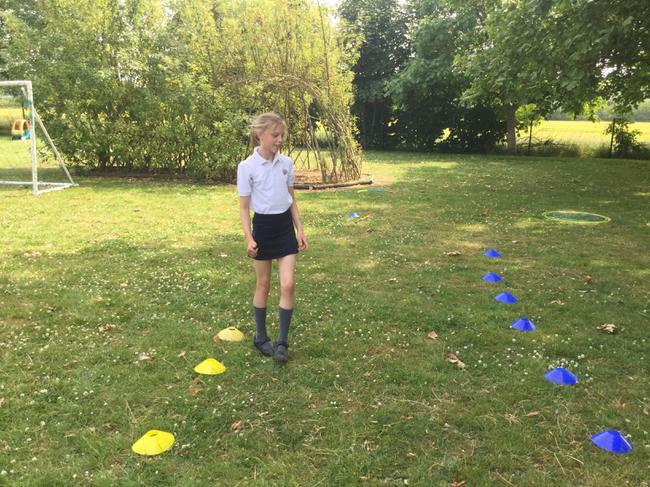 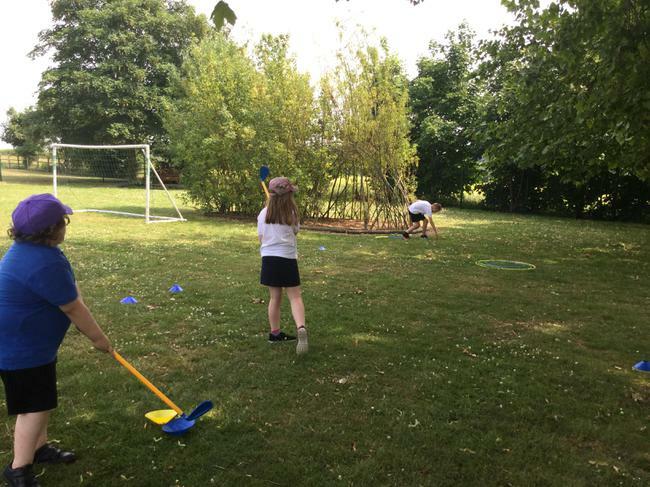 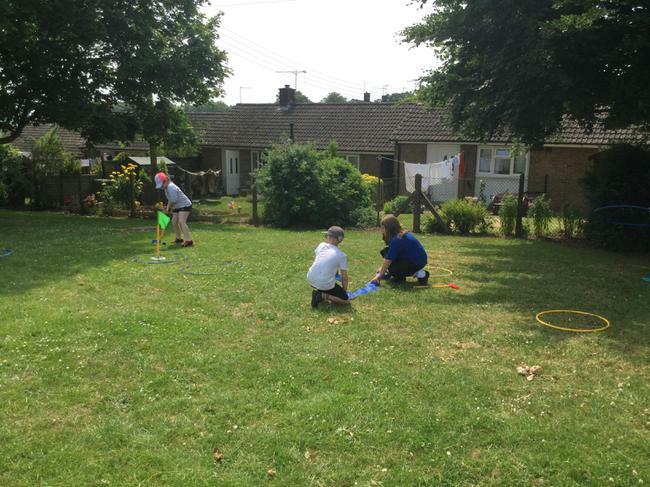 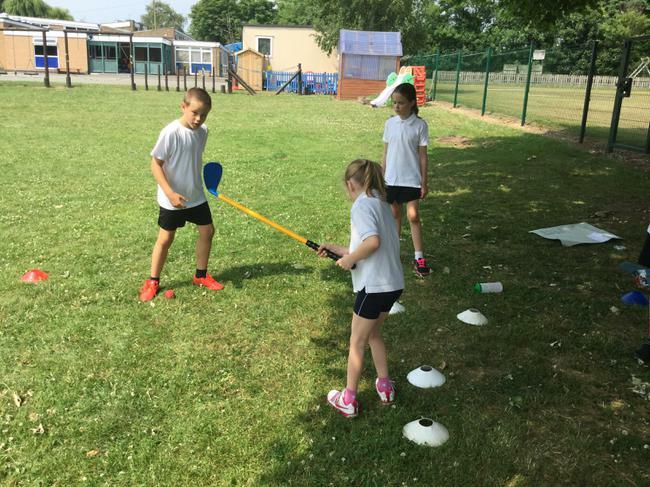 This half term we will continue to have games on a Thursday with Mrs Ranson - focusing on net games (like tennis, badminton and volley ball) and rounders/cricket. 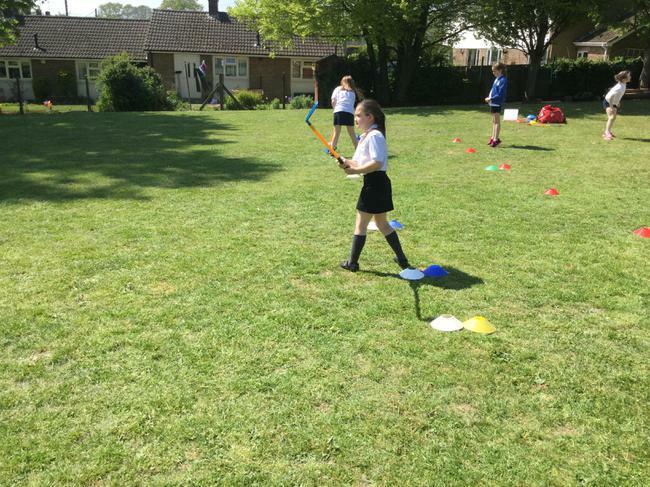 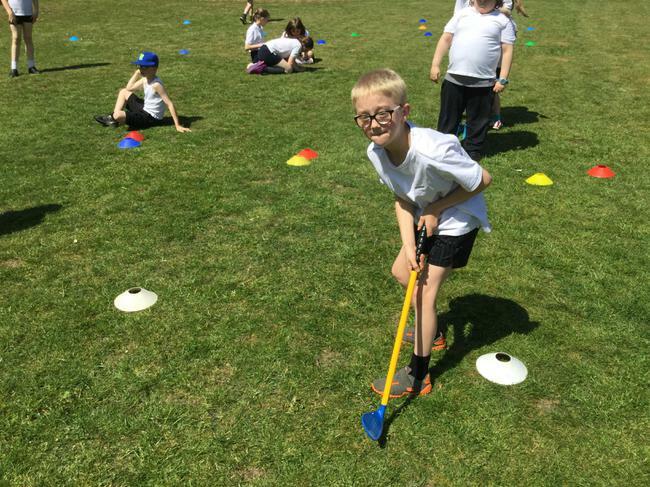 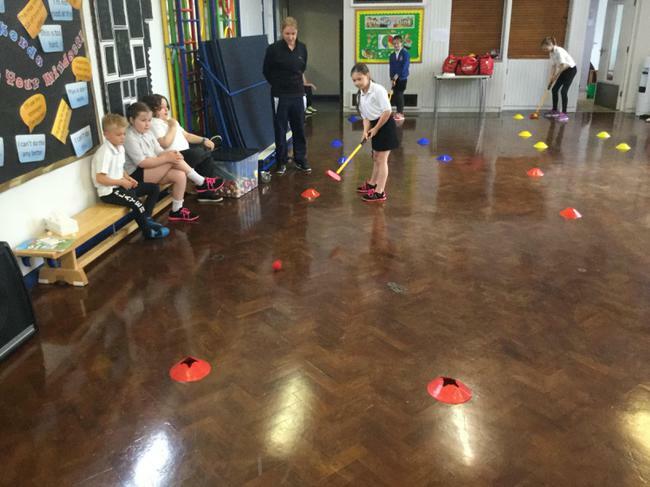 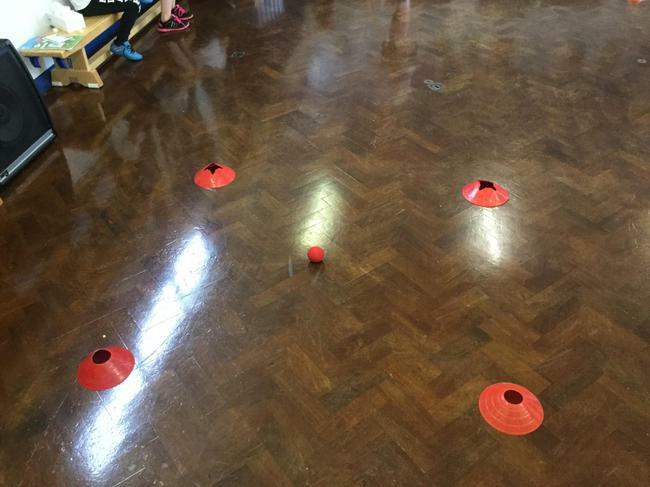 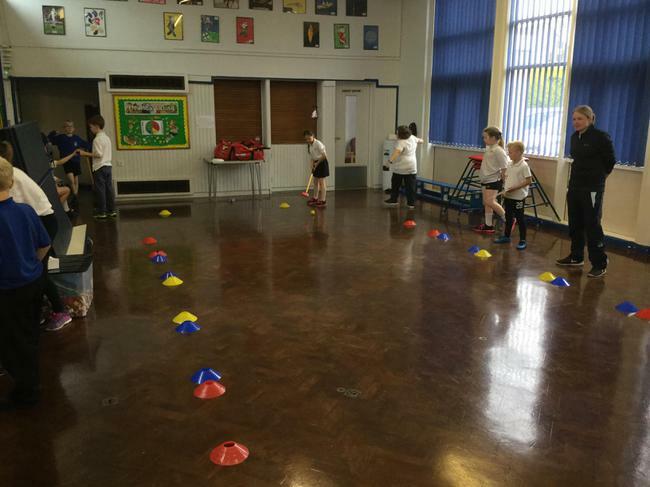 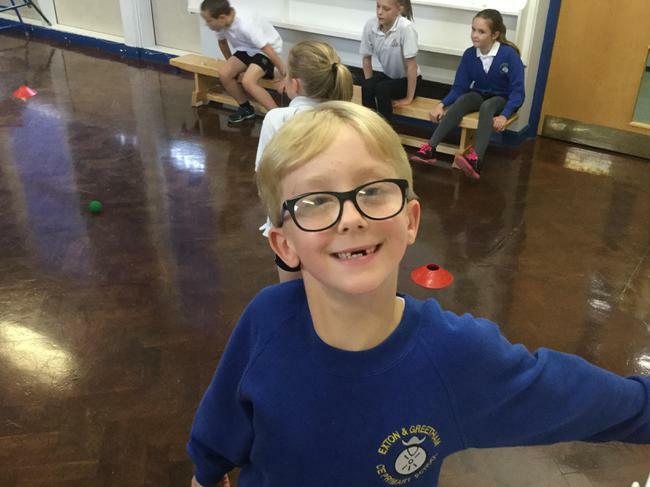 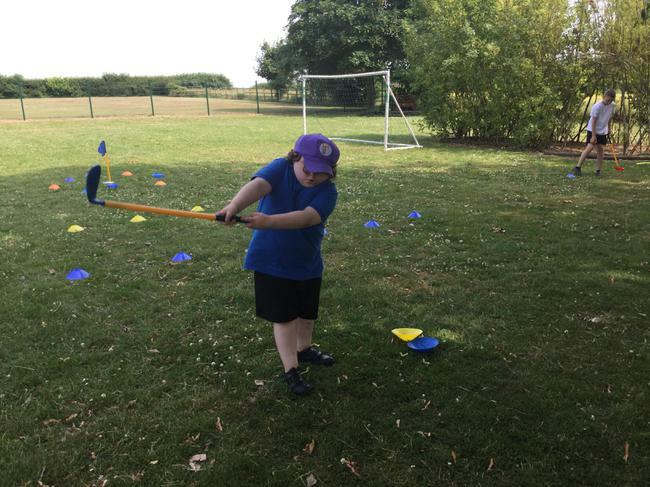 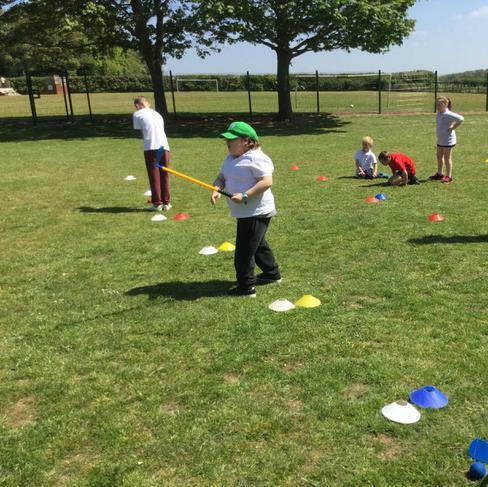 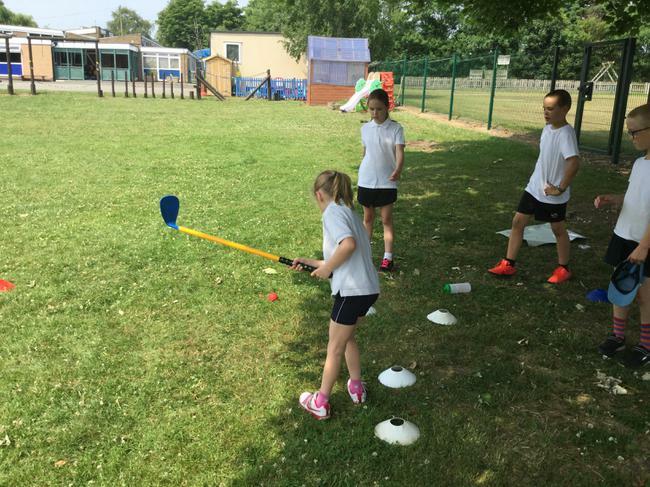 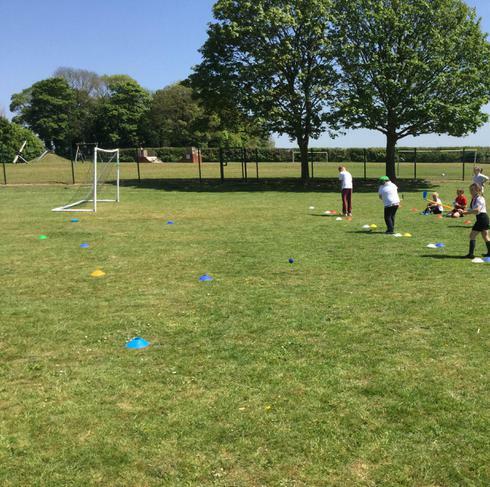 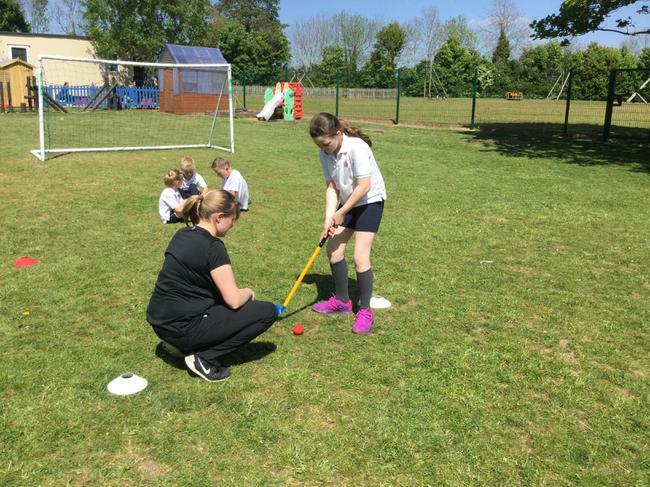 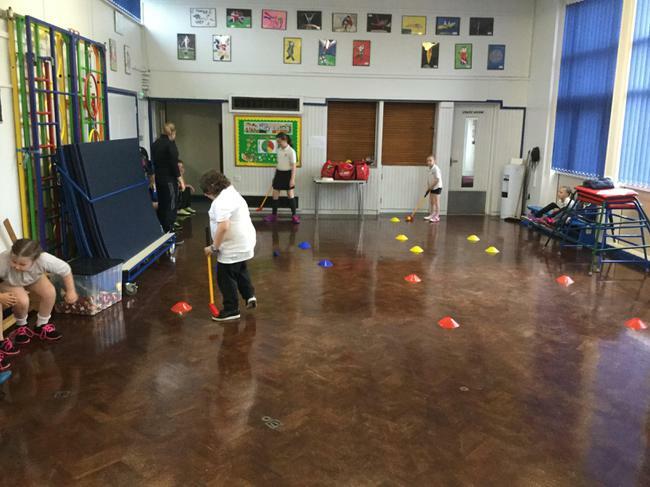 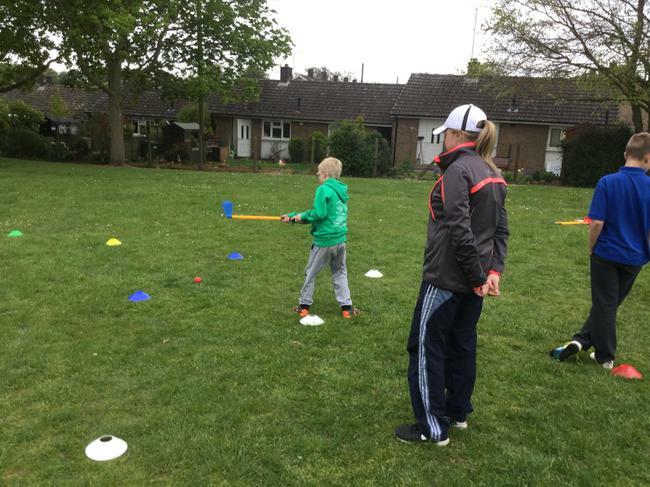 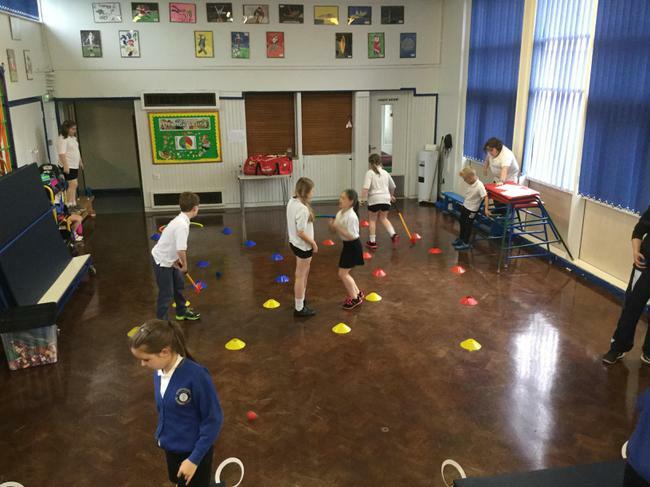 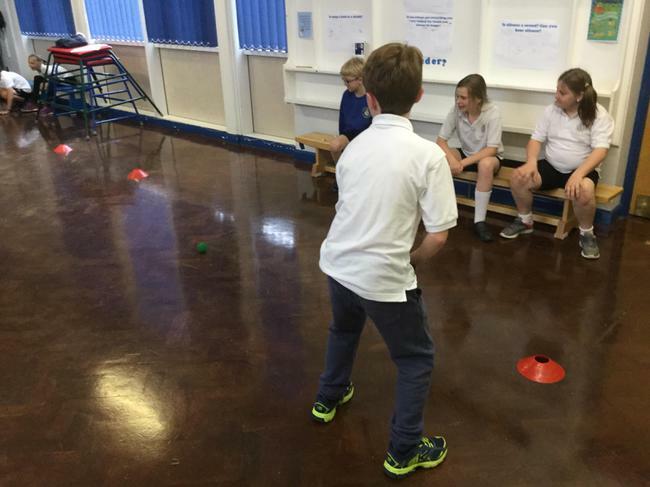 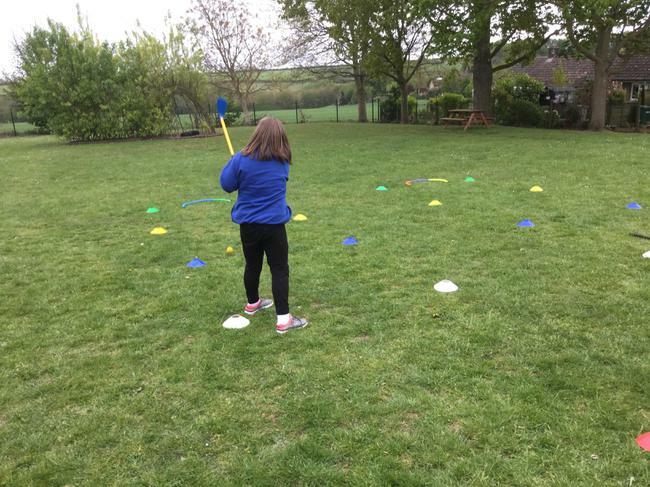 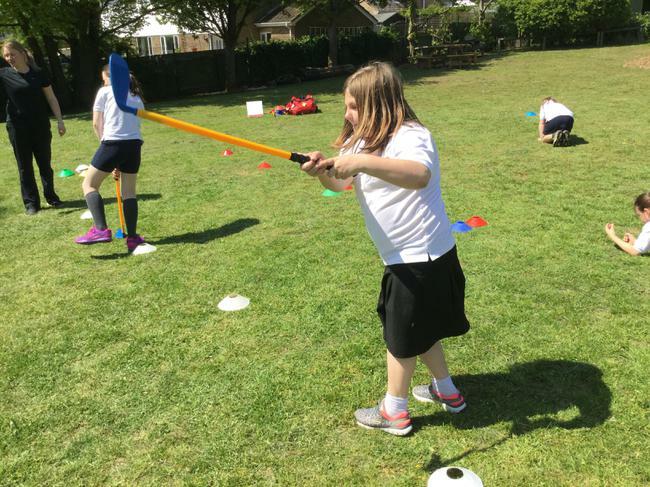 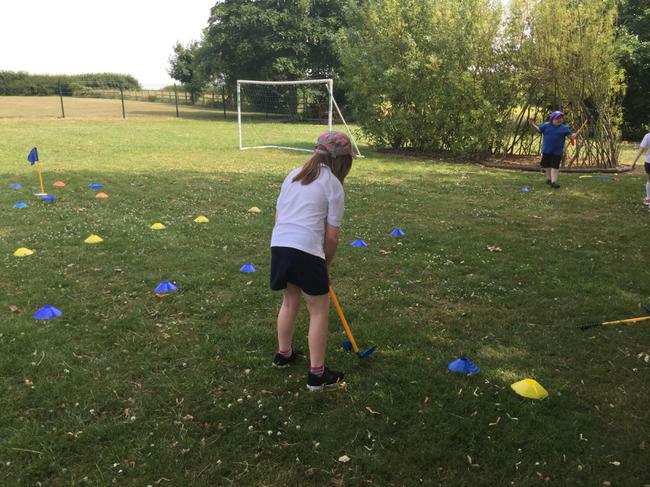 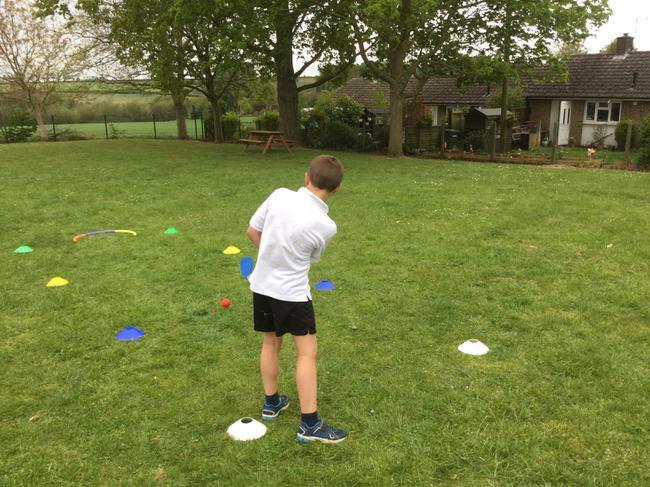 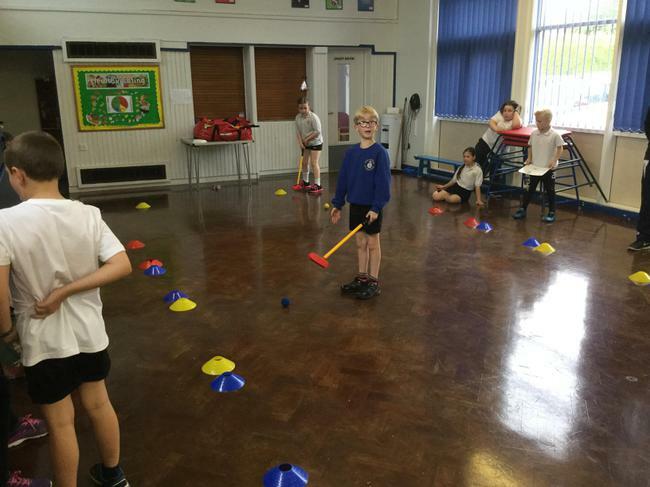 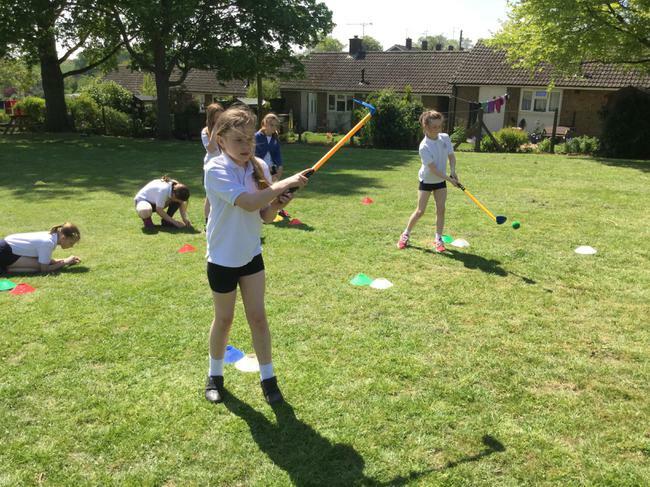 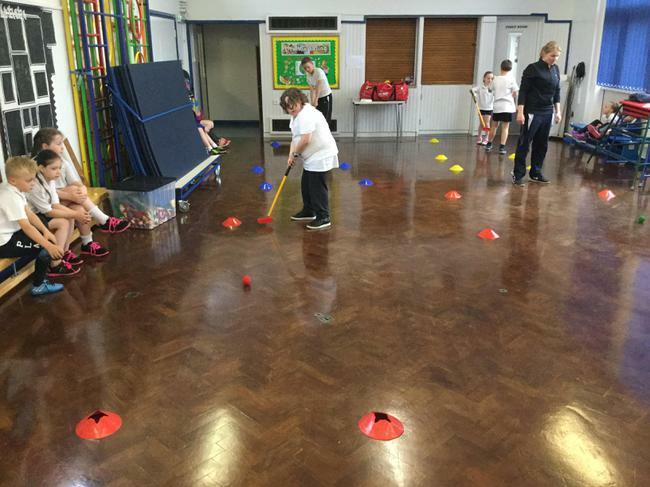 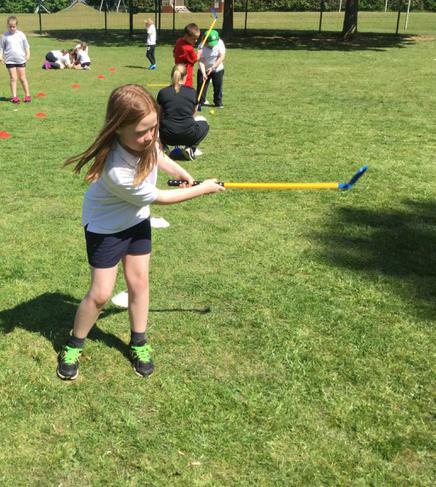 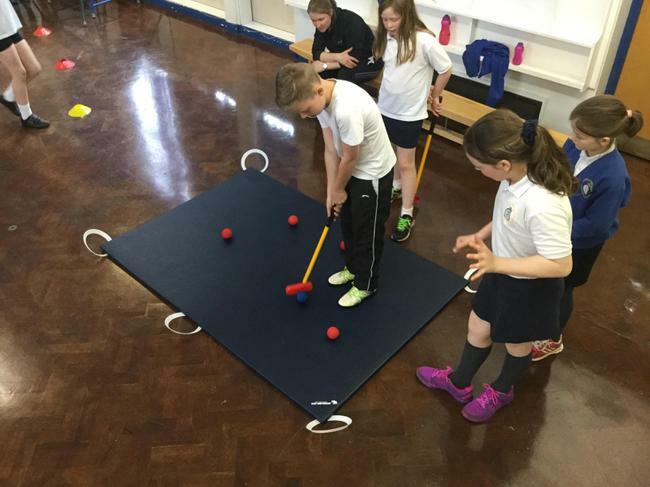 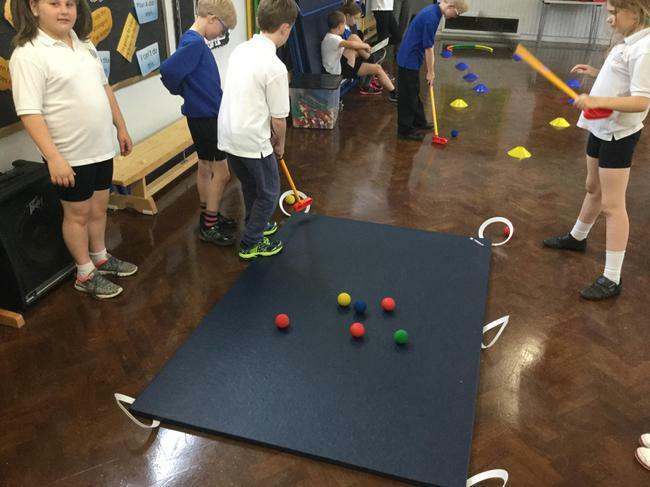 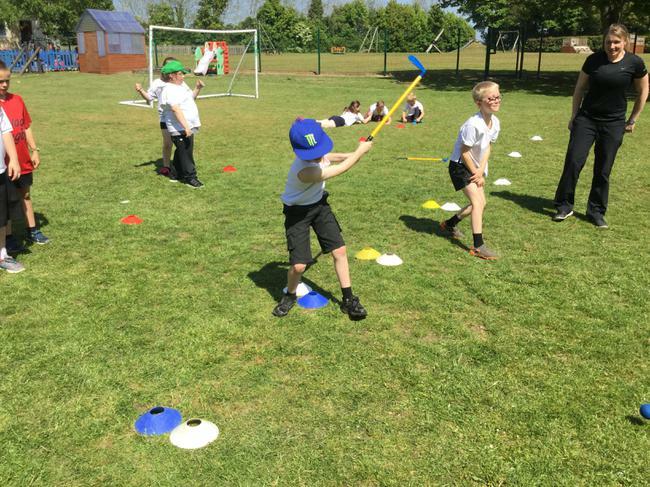 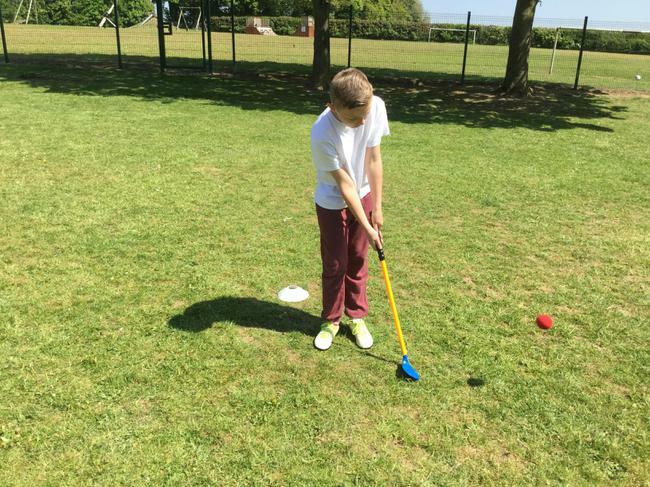 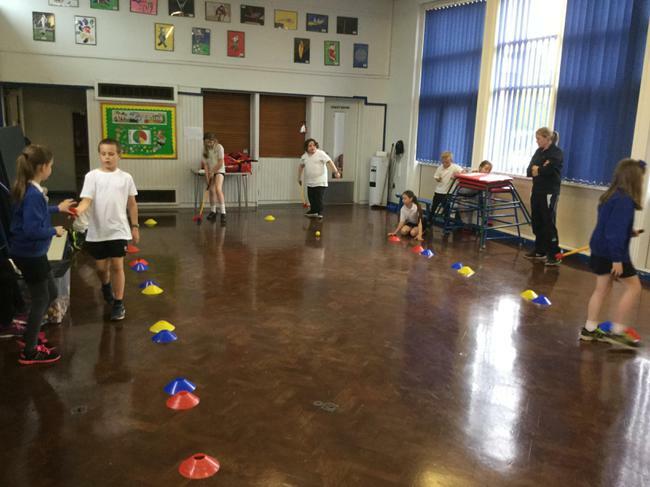 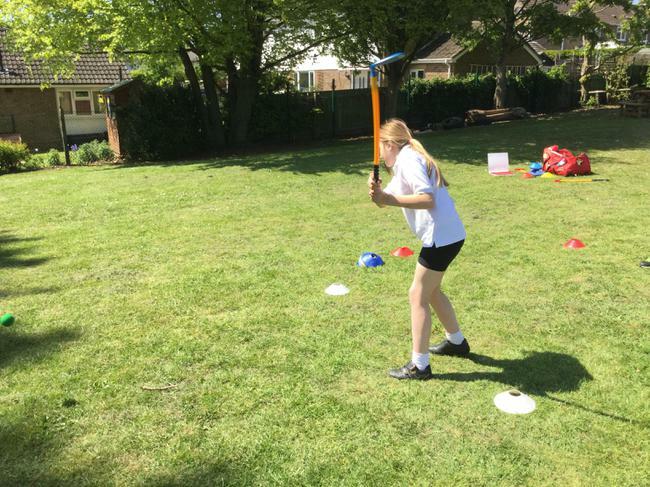 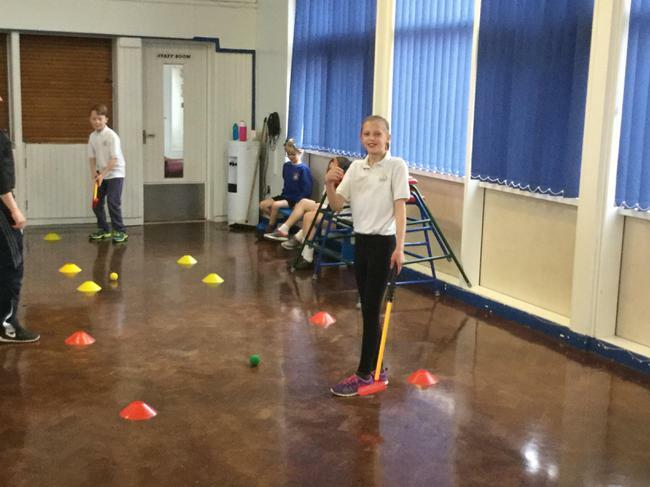 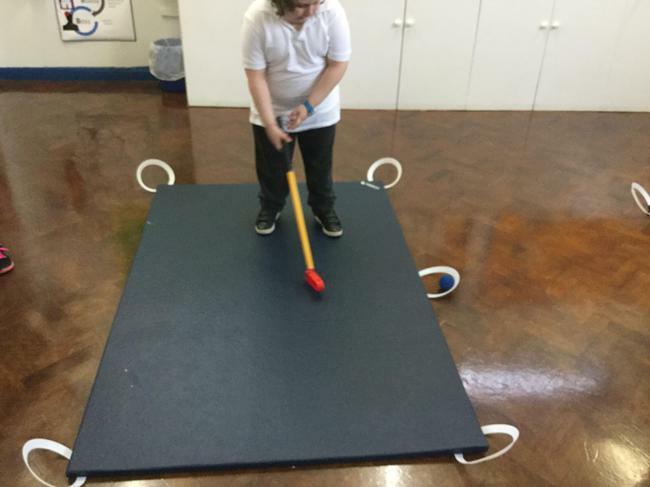 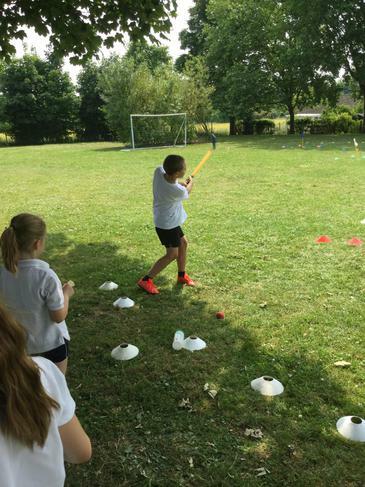 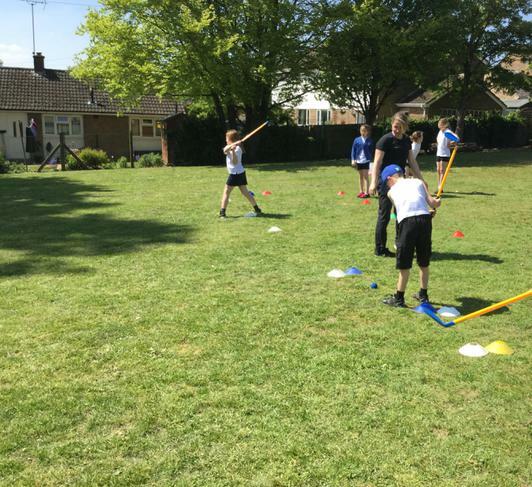 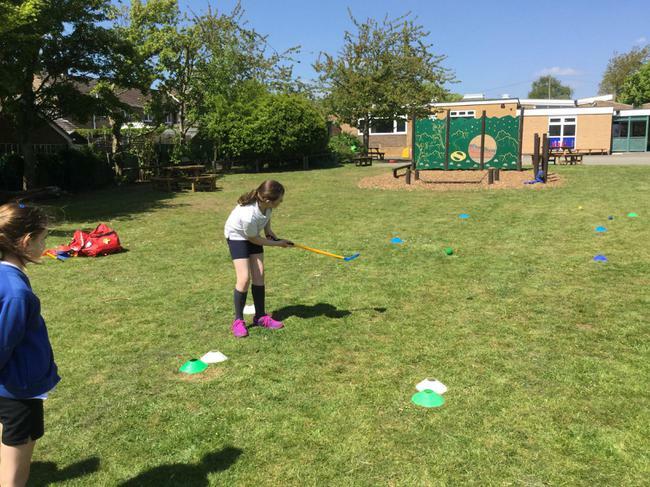 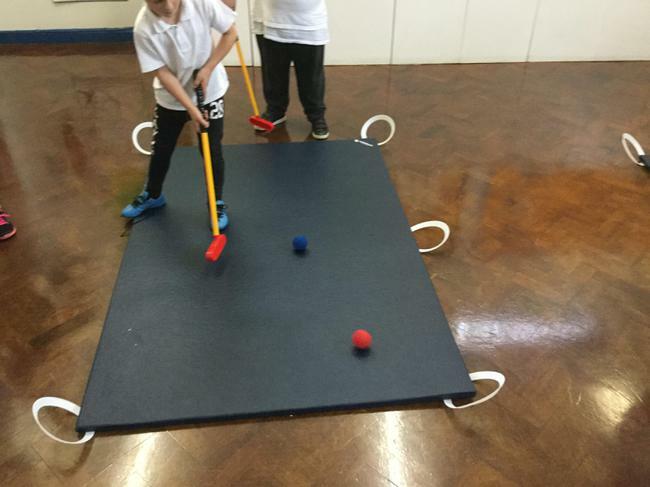 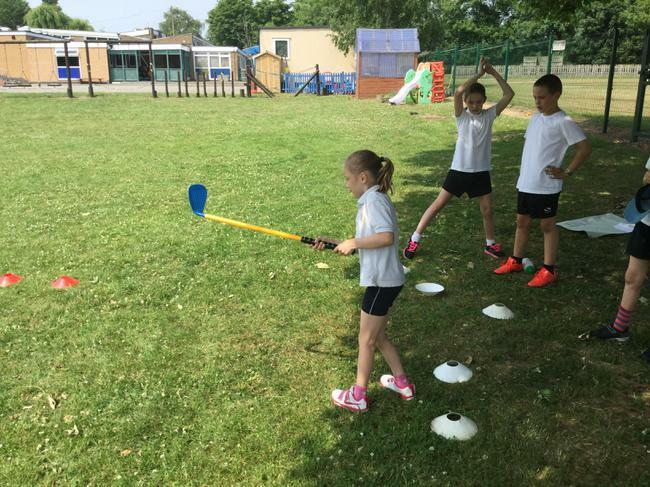 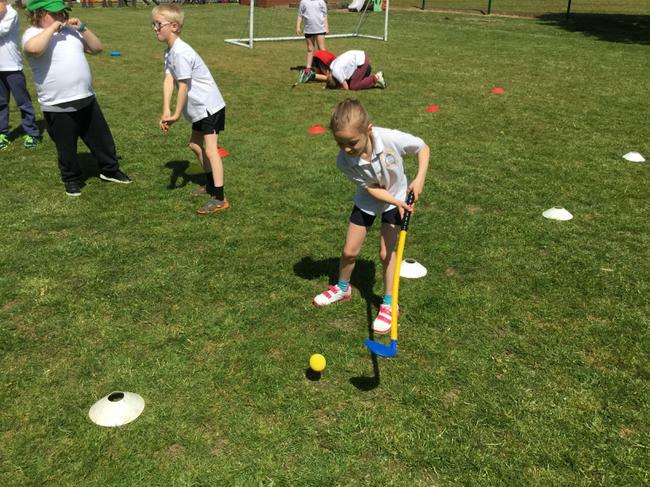 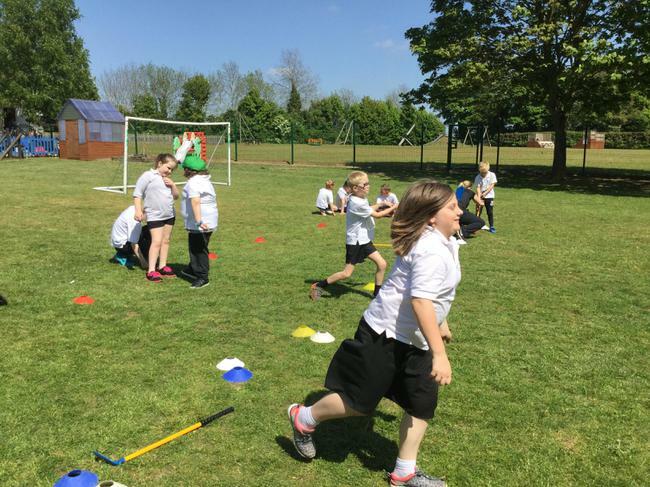 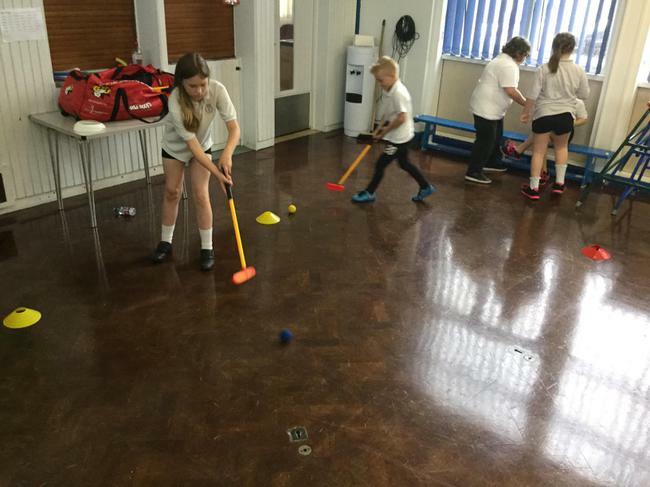 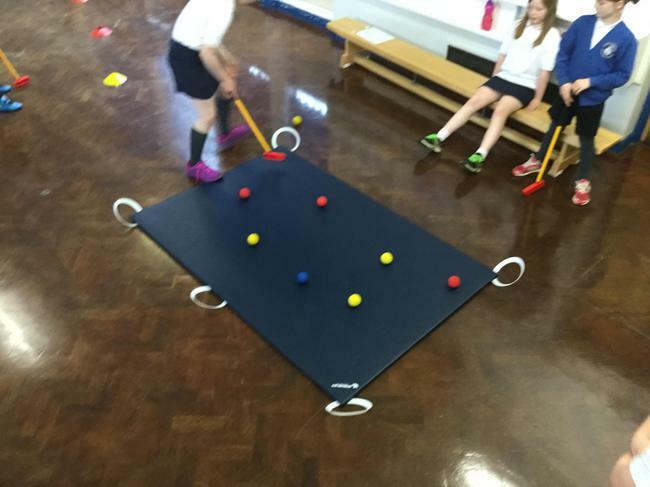 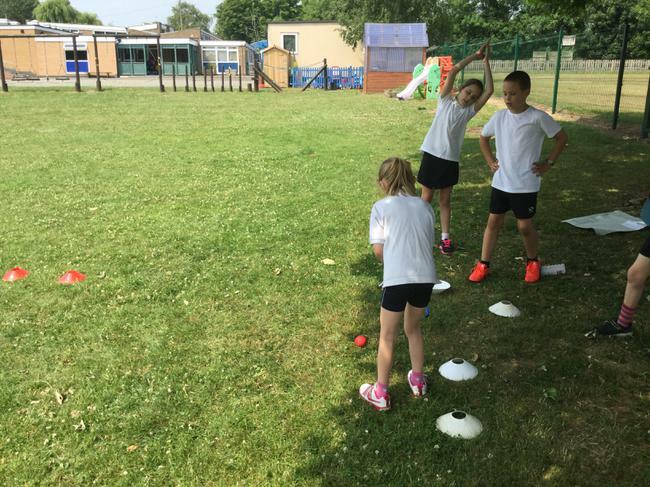 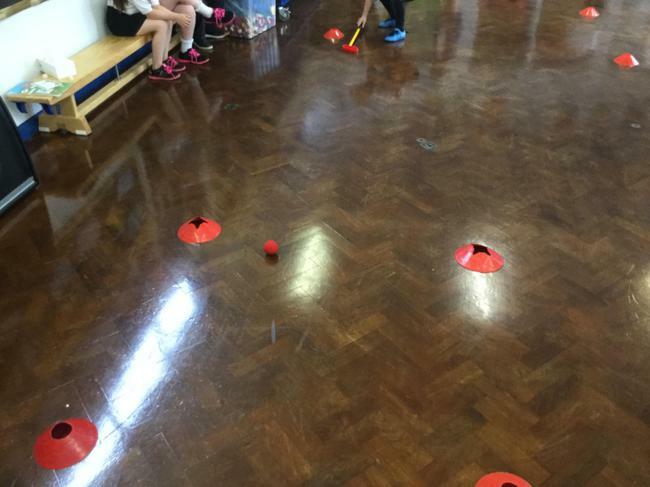 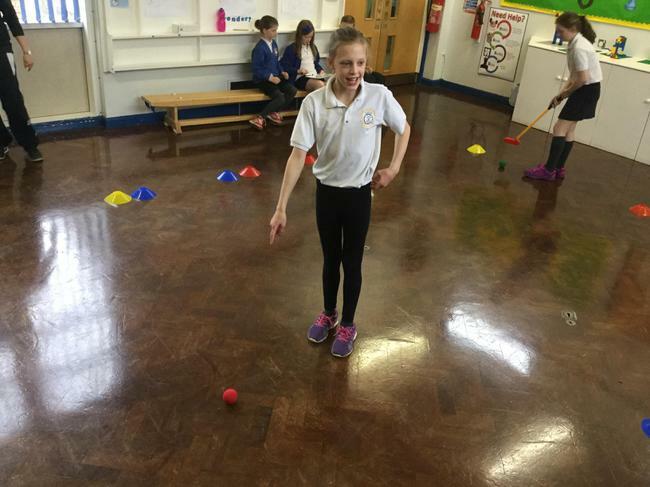 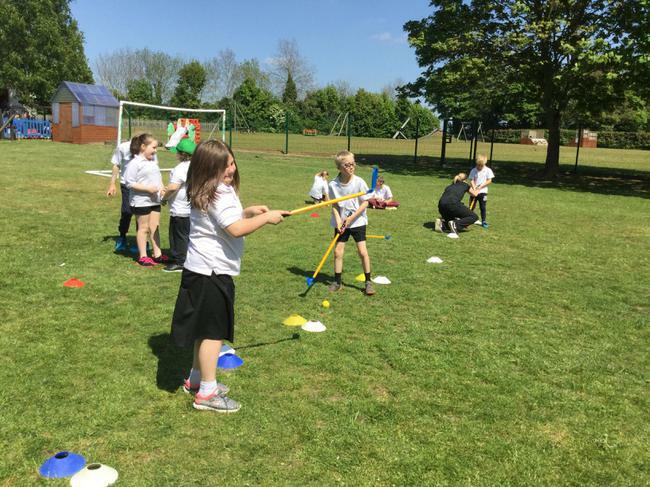 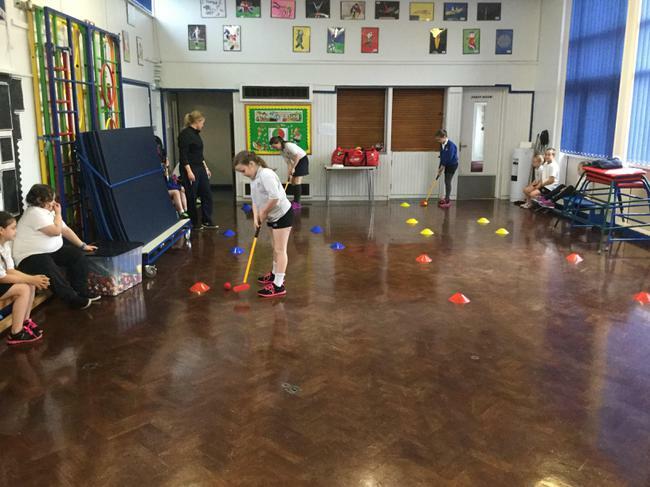 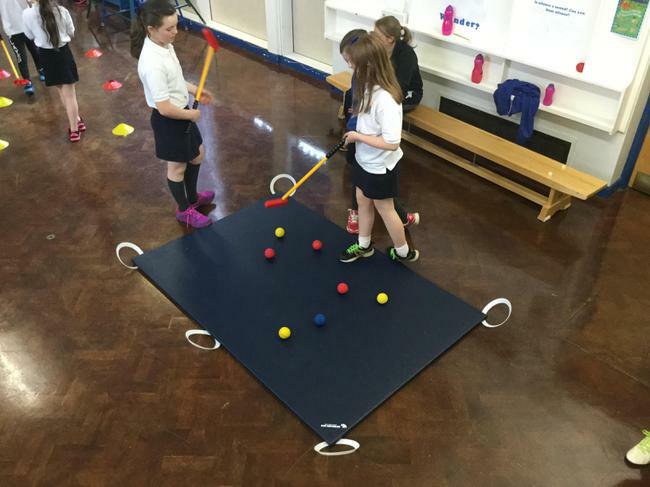 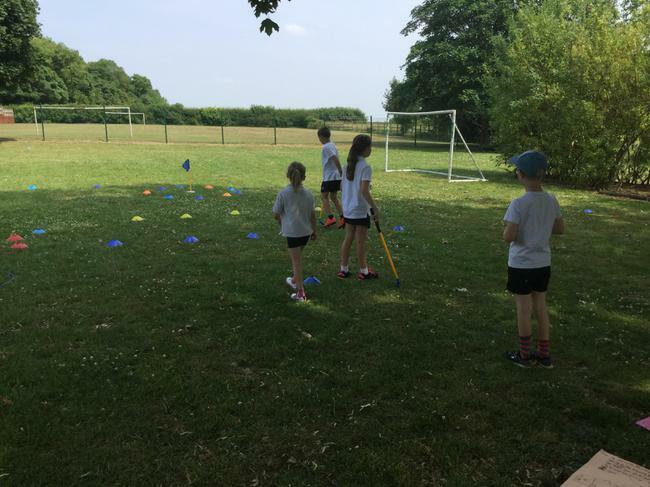 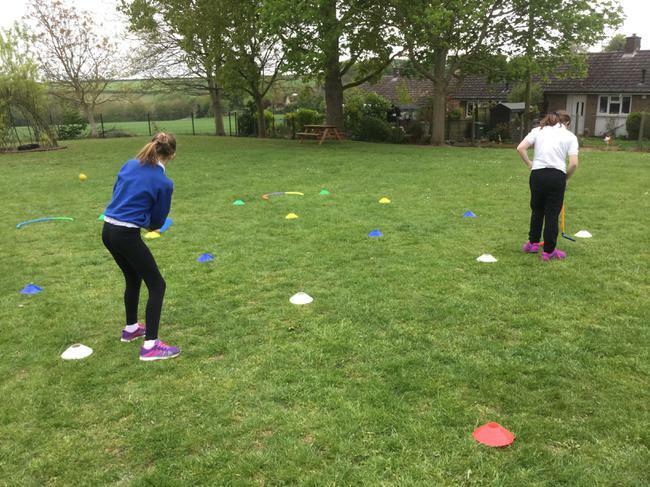 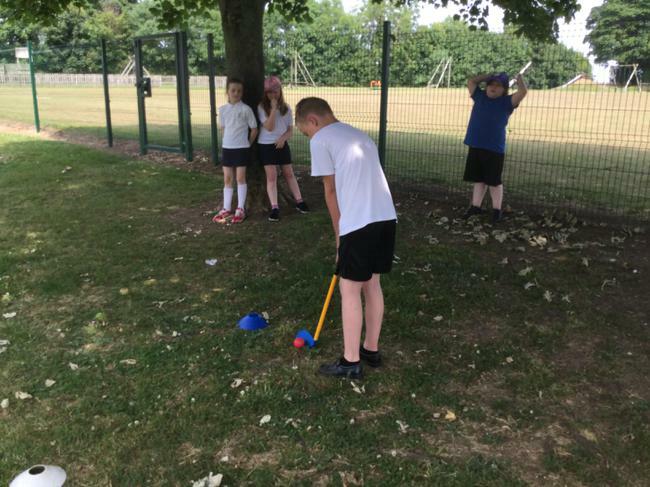 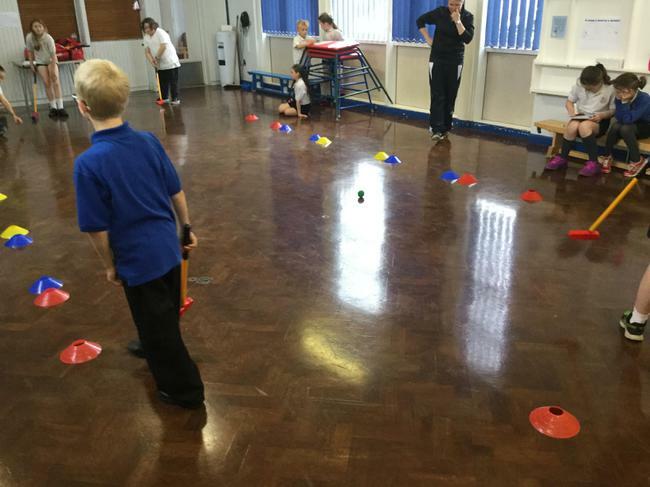 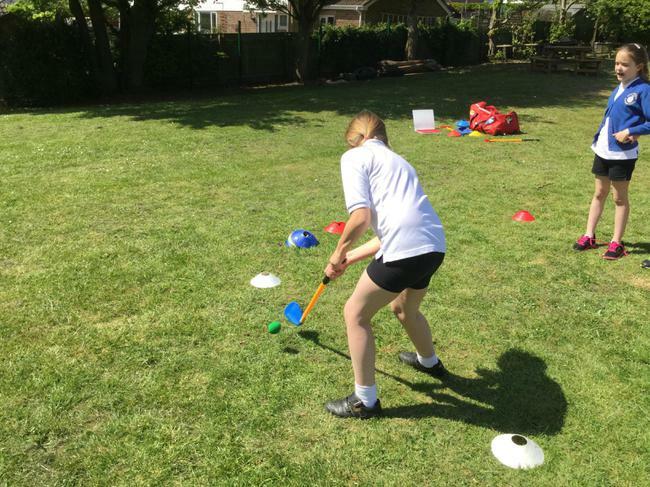 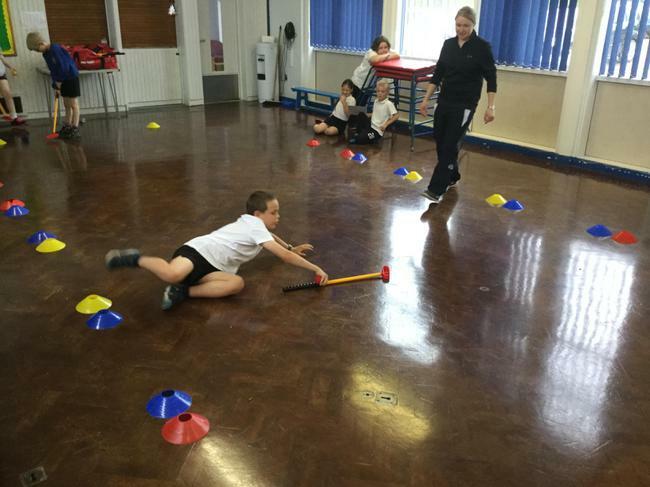 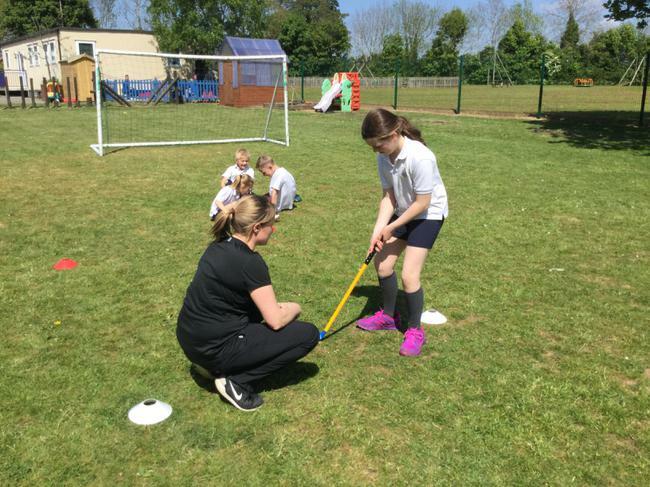 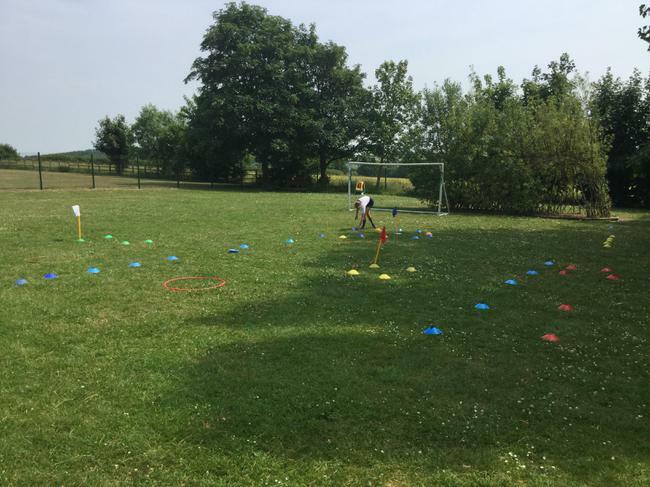 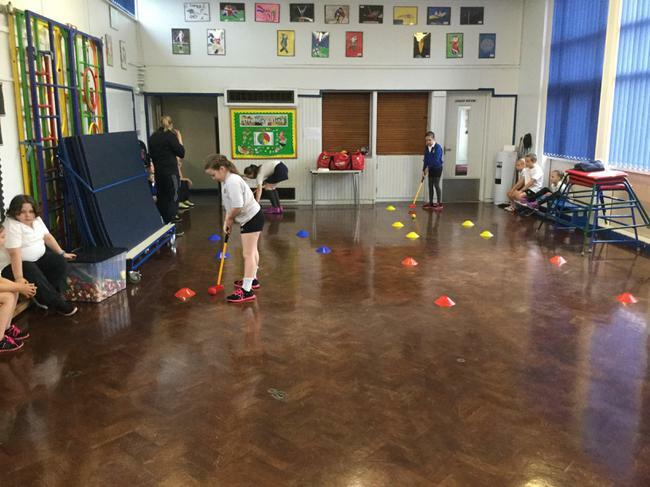 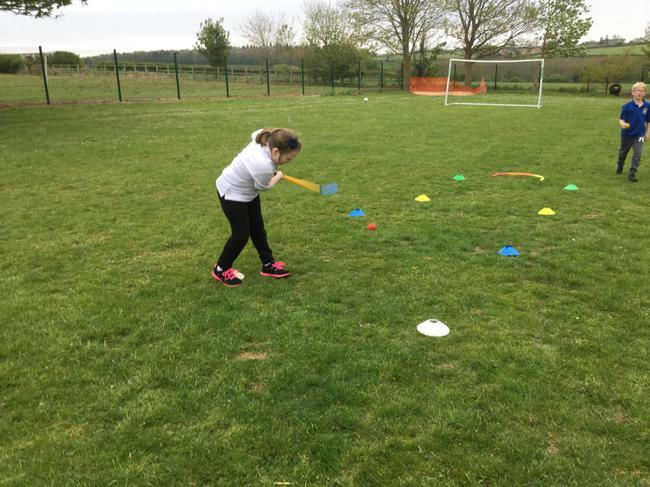 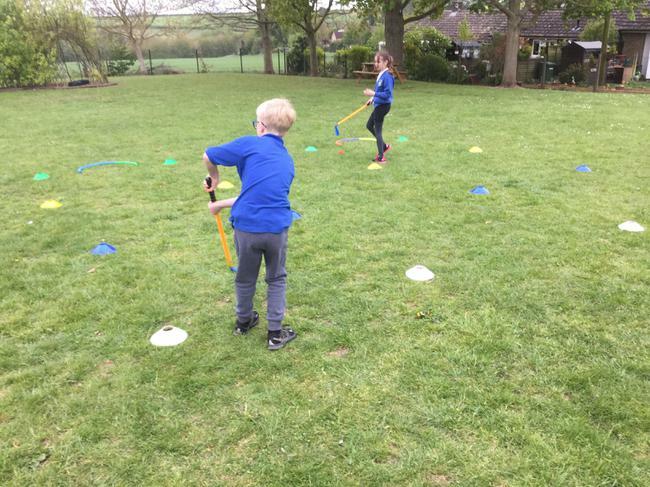 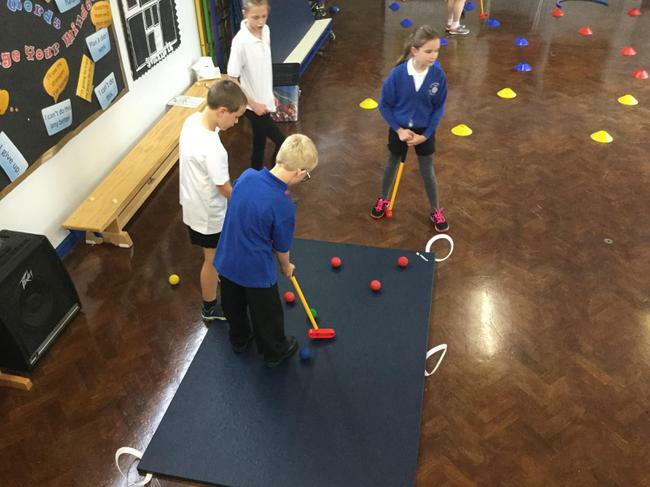 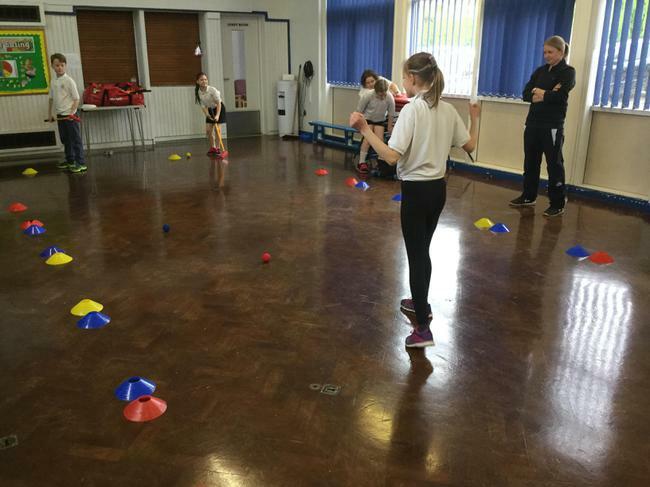 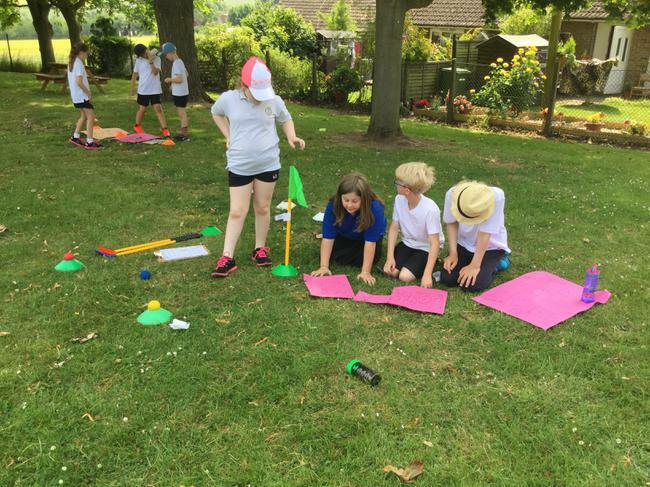 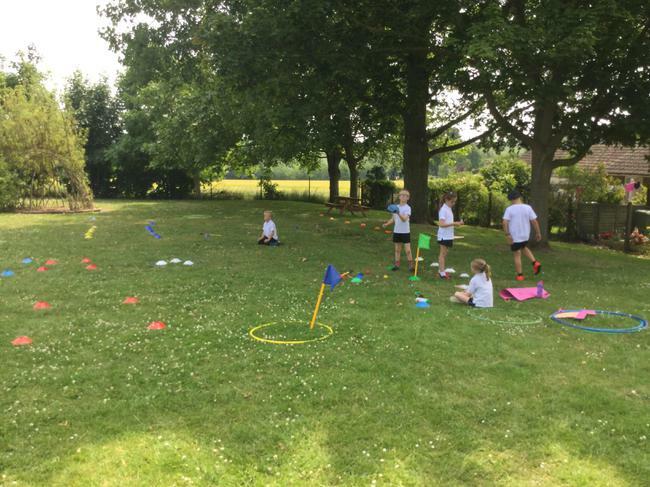 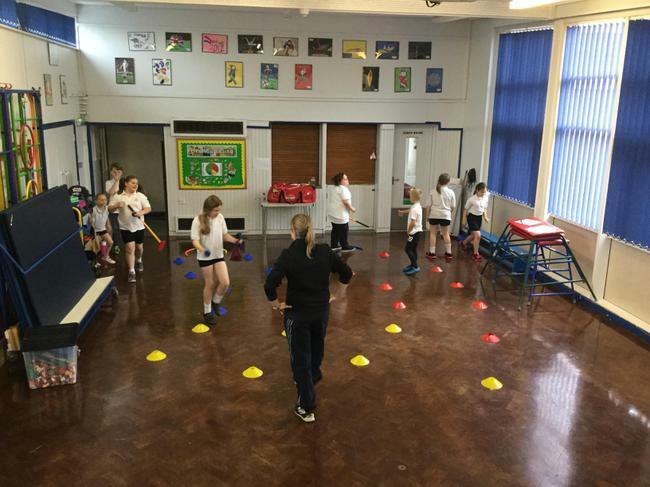 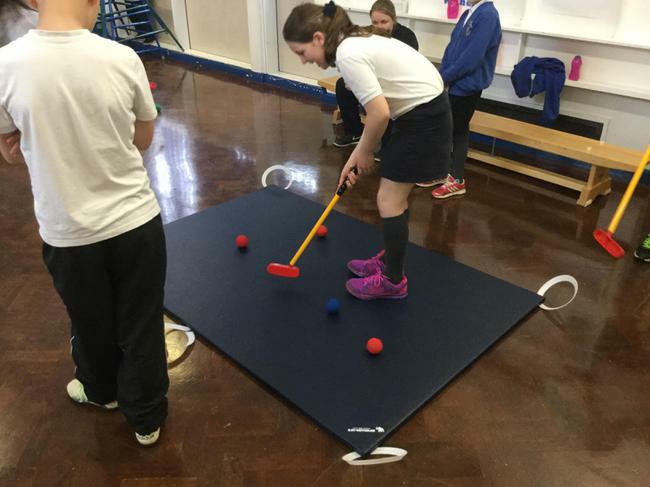 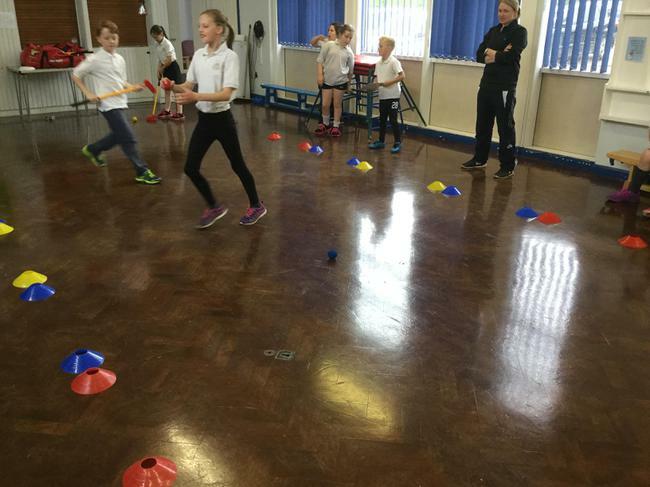 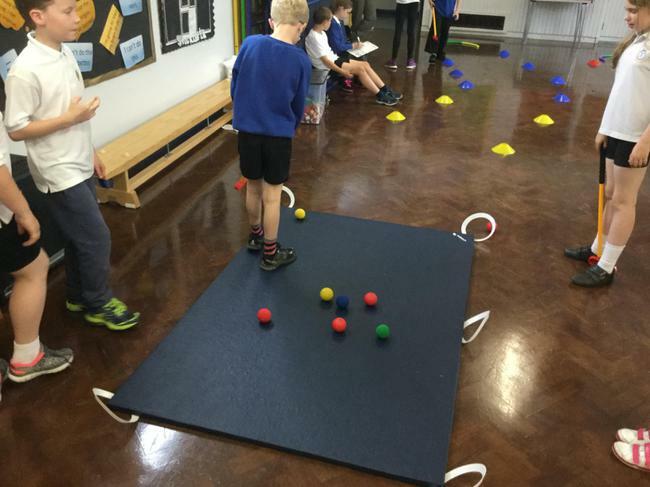 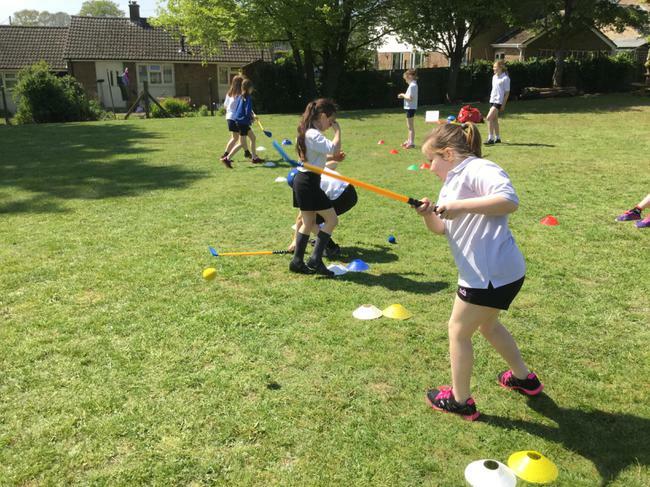 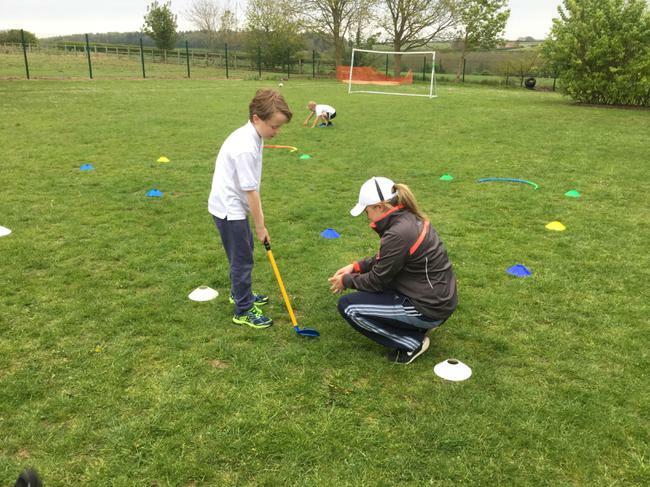 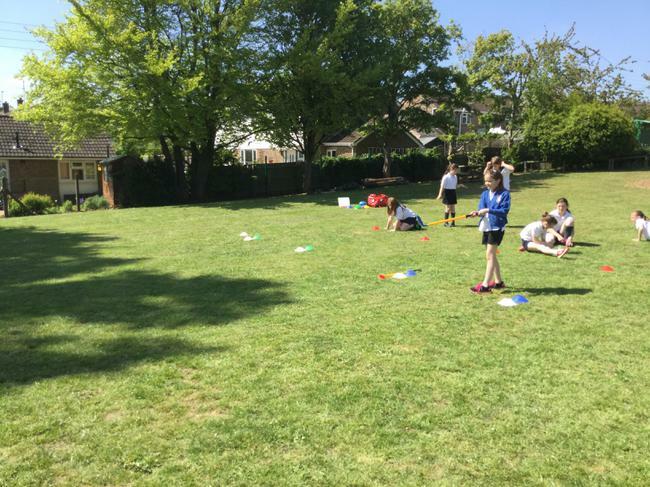 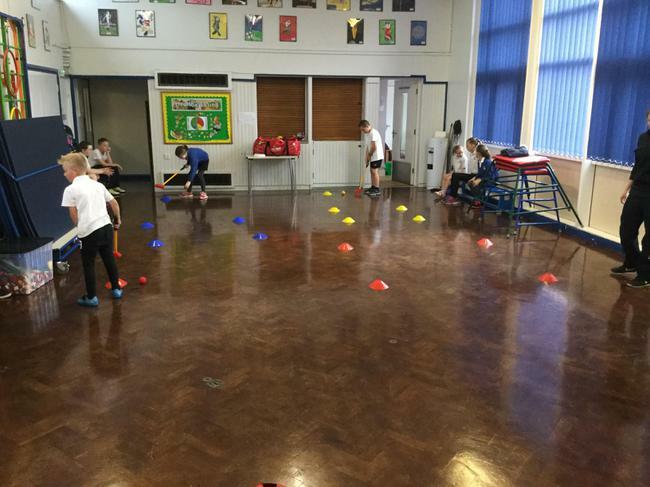 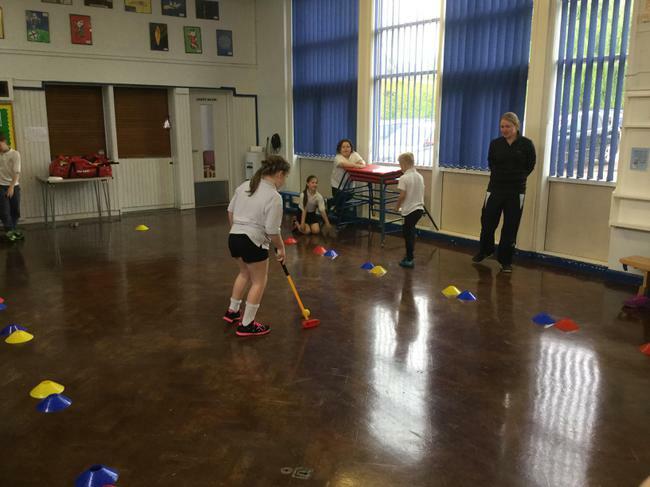 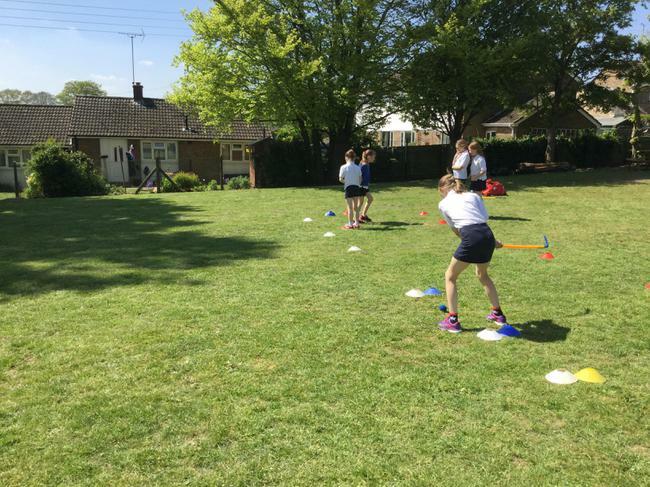 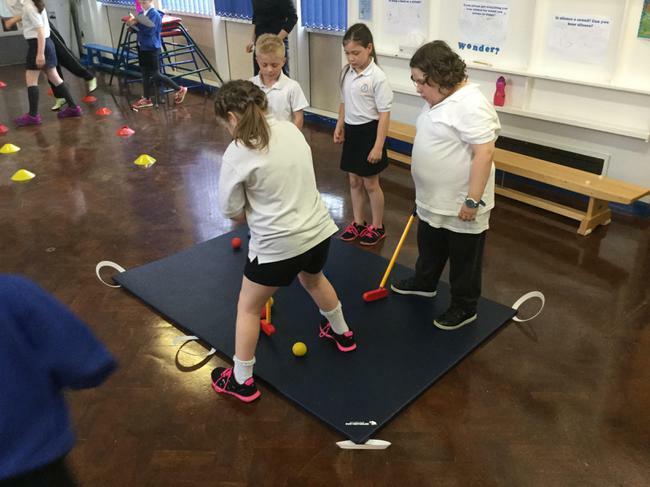 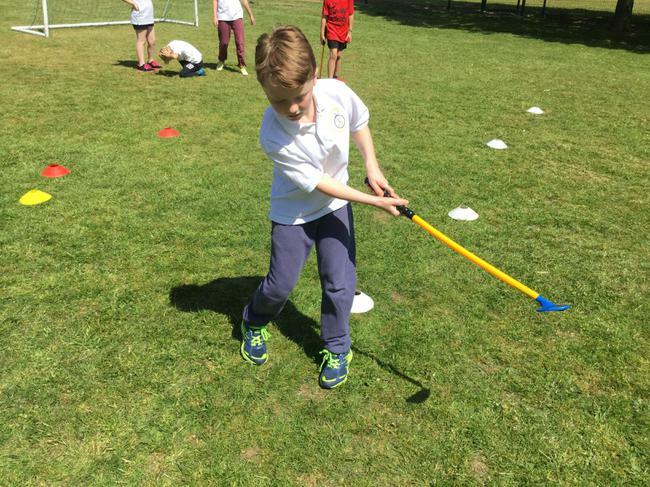 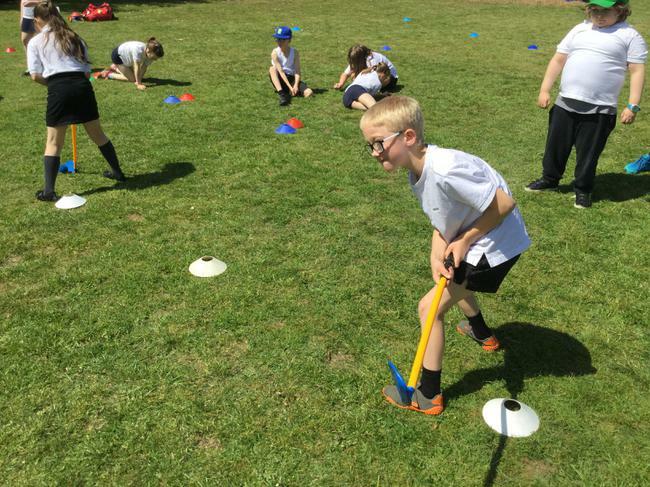 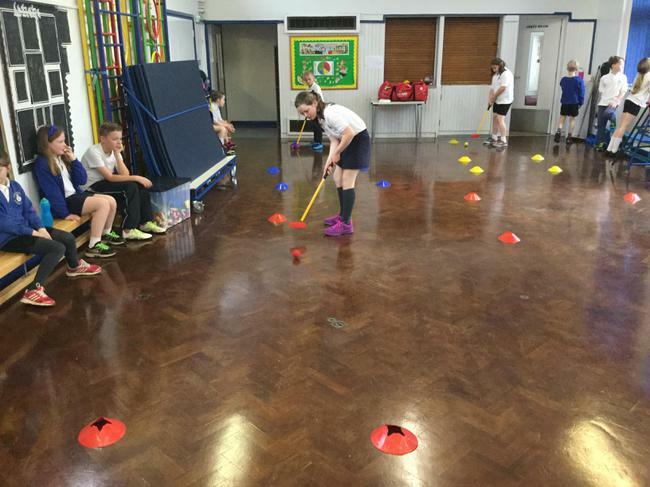 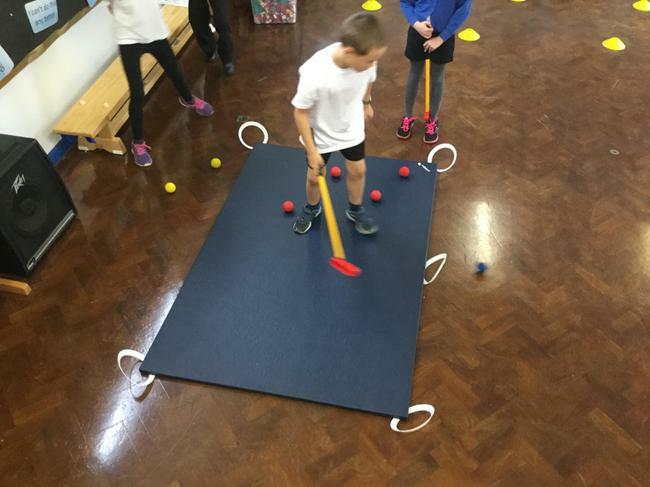 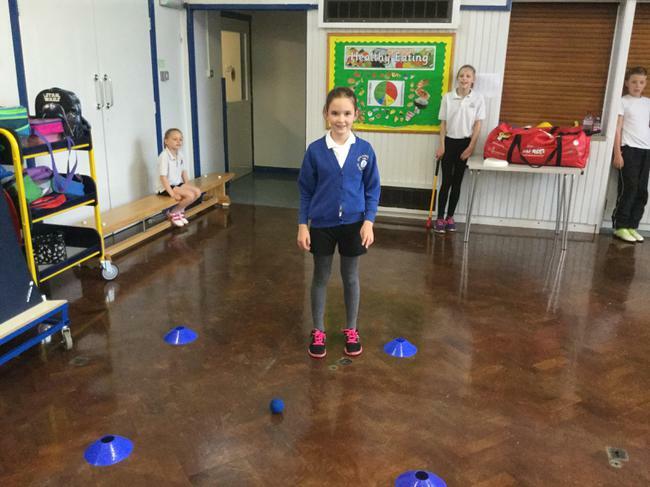 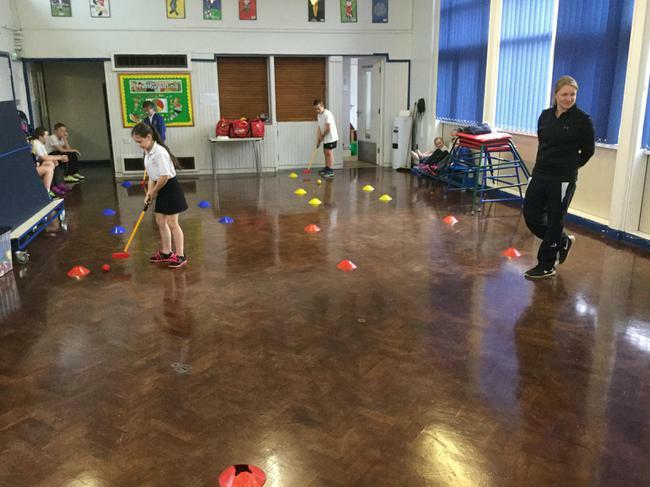 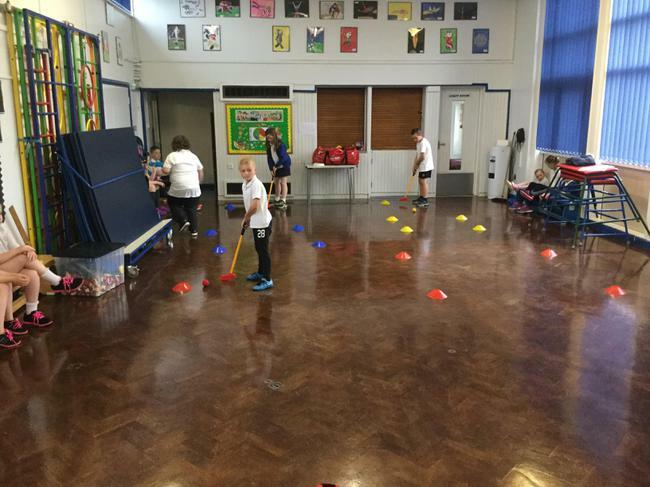 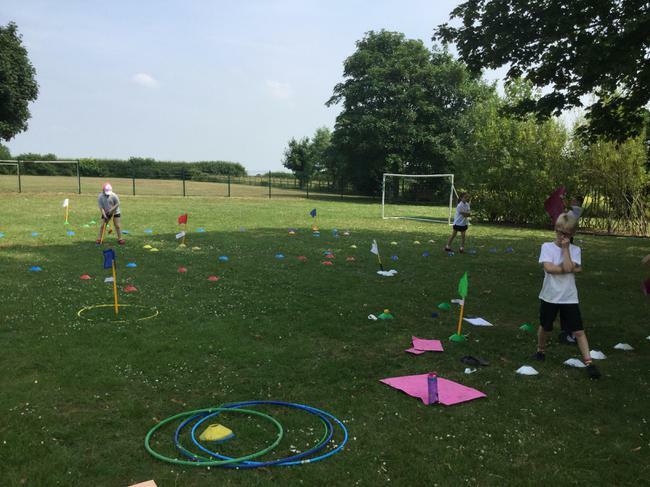 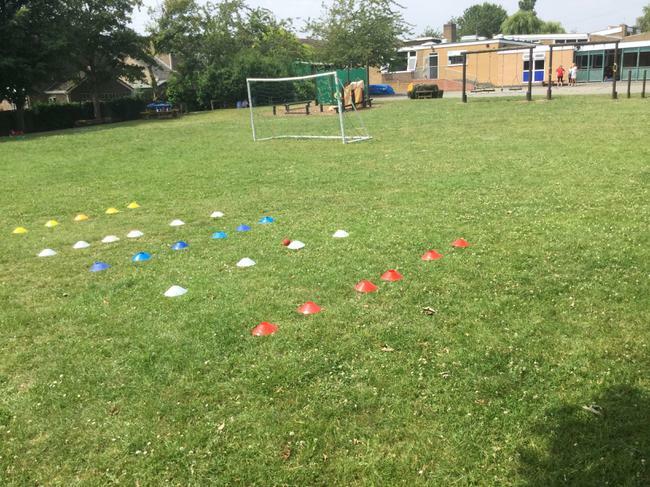 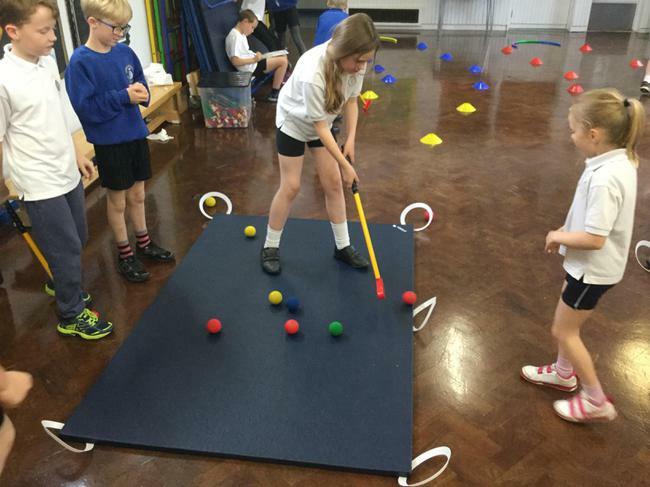 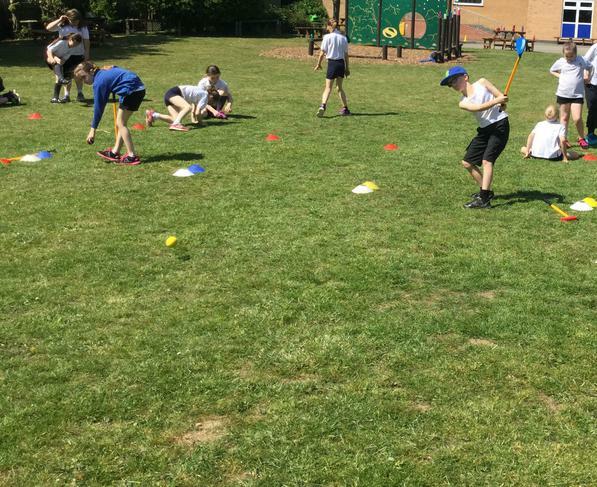 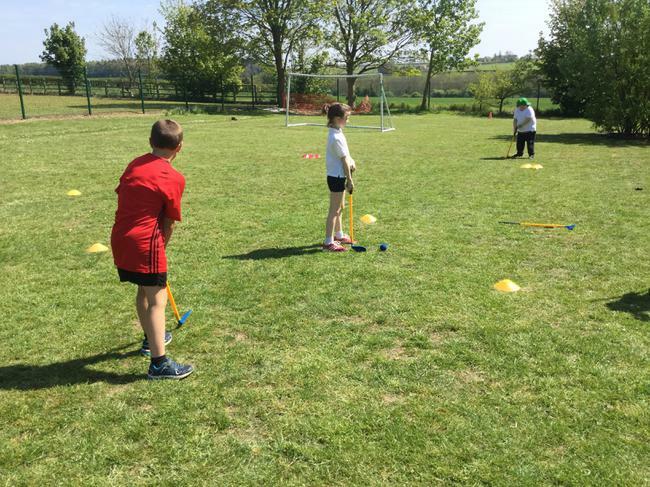 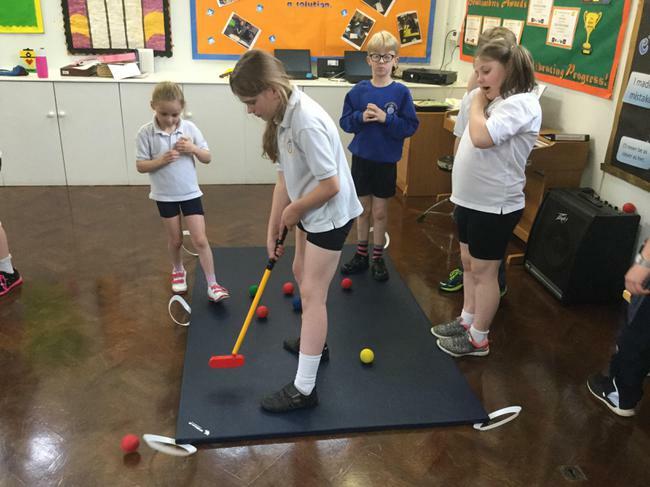 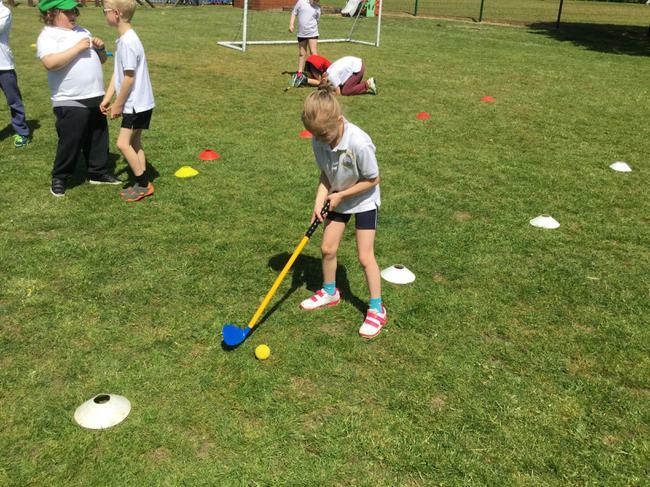 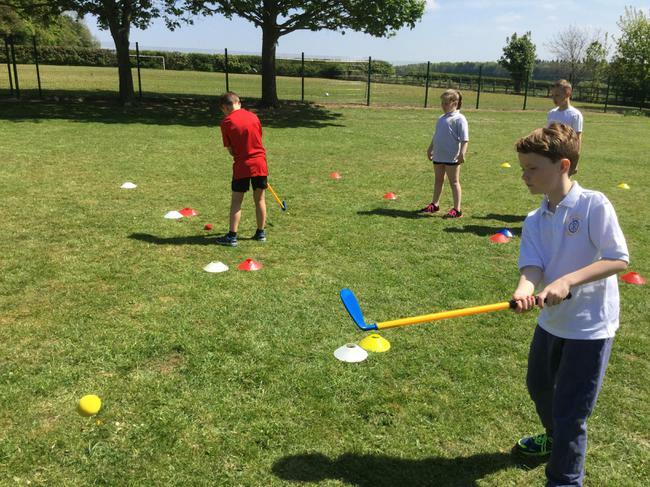 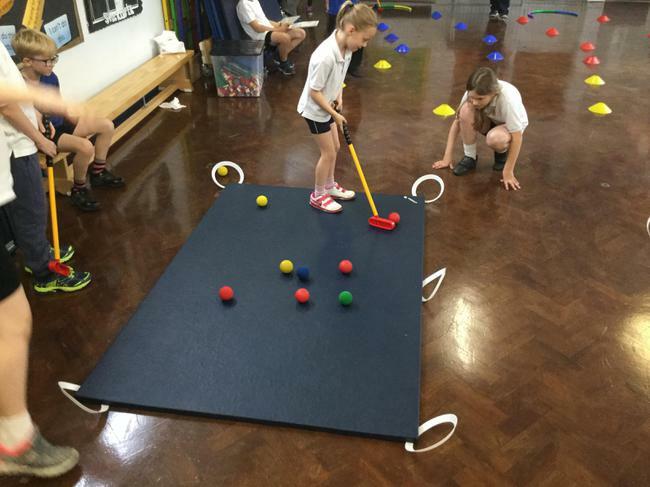 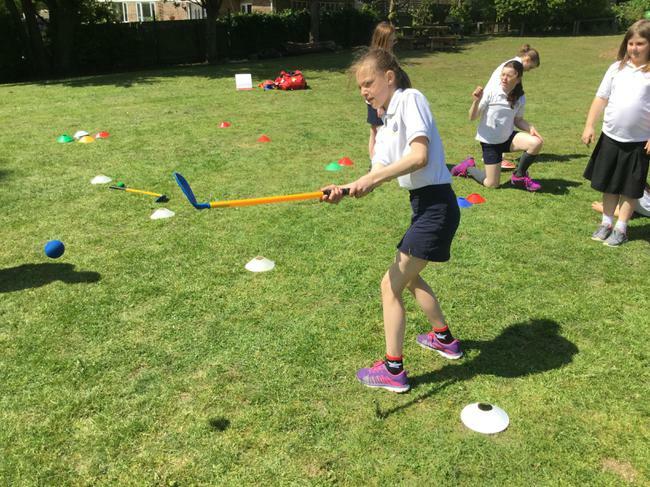 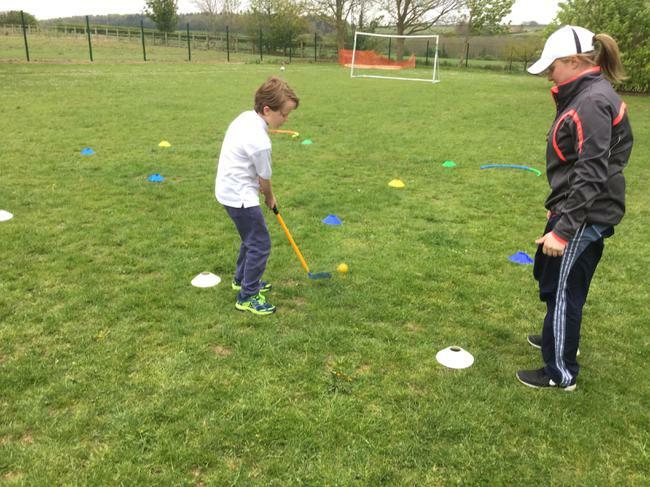 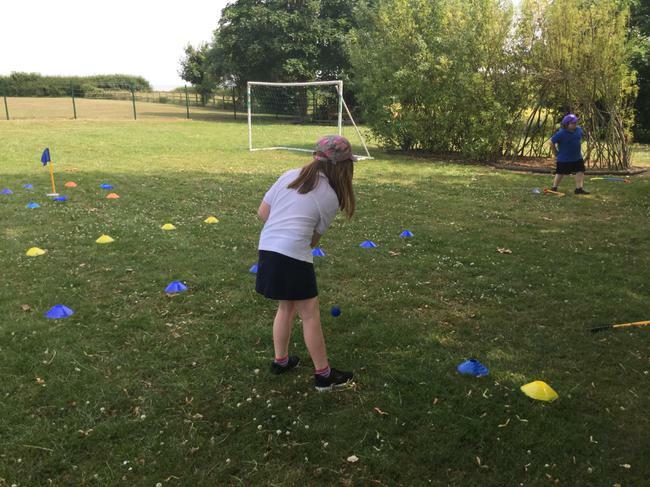 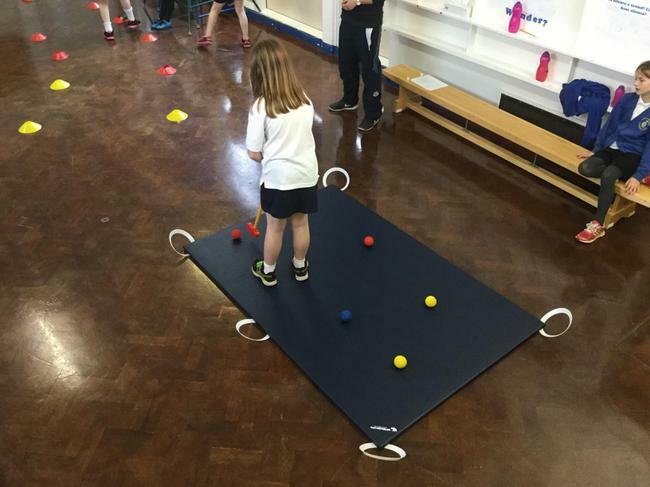 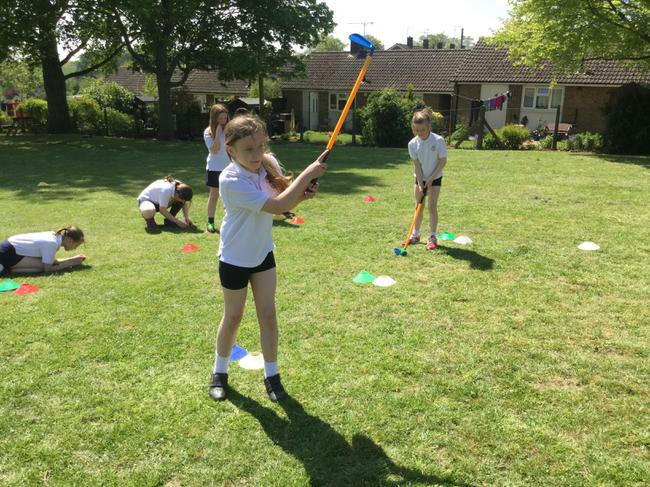 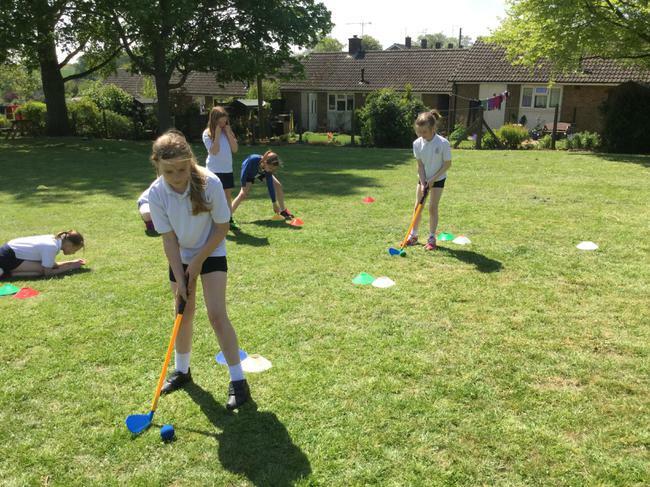 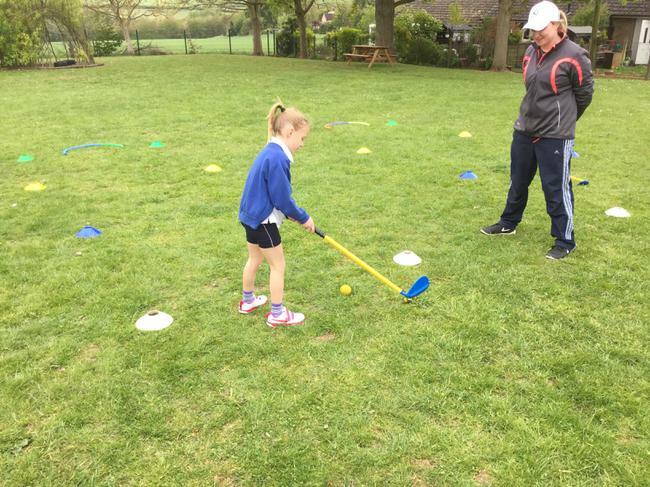 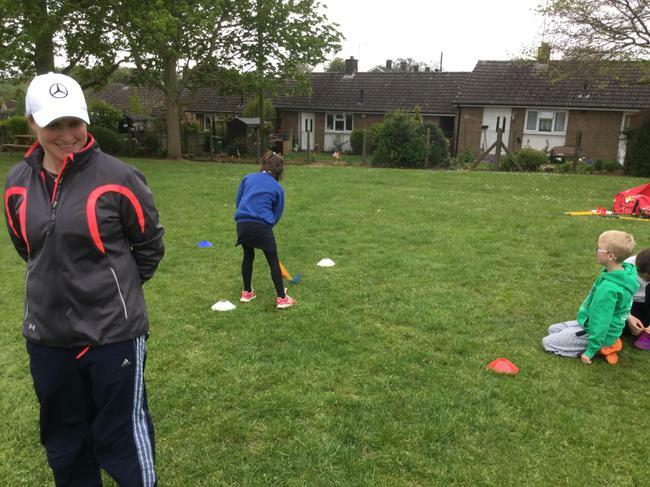 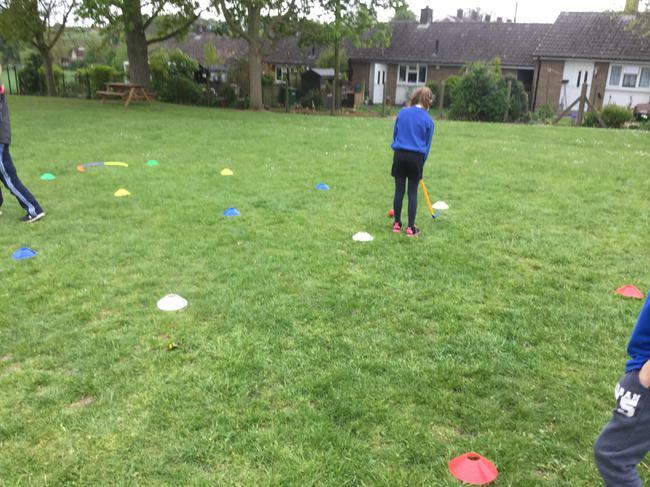 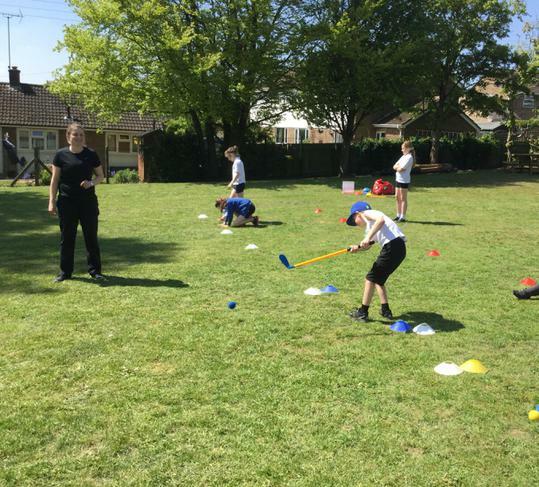 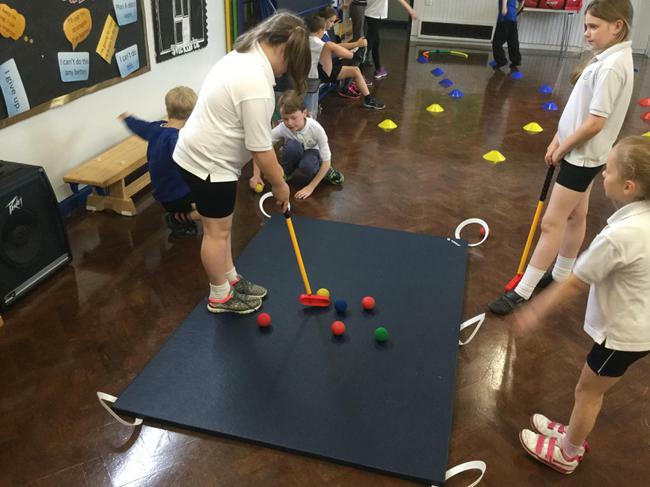 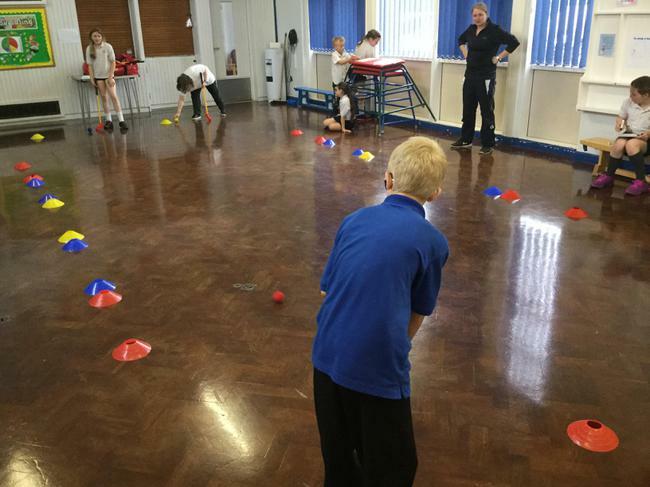 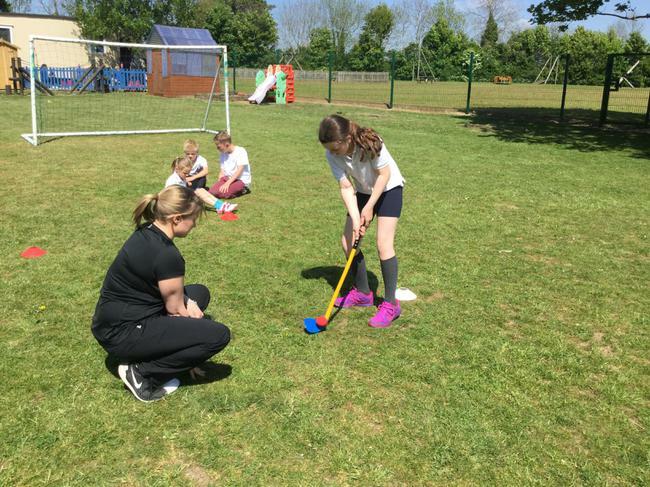 Wednesdays will be back as our other PE day and this term we will be learning to play tri-golf with Leicestershire golf pro Kym Larratt. 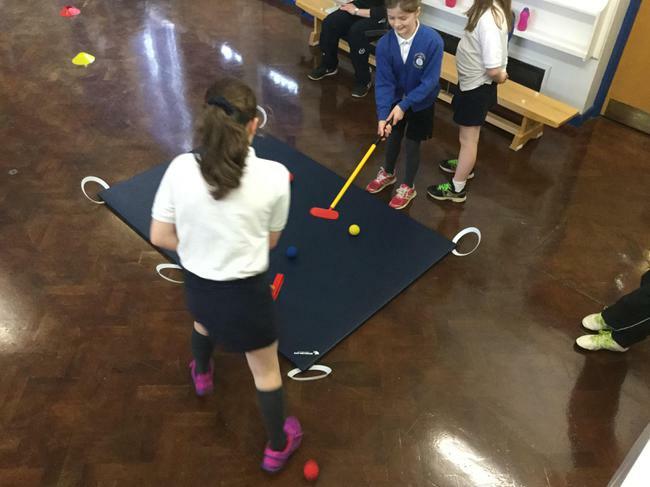 Even the pouring rain couldn't stop our golfing practice today, we simply turned the hall into a practice putting green! 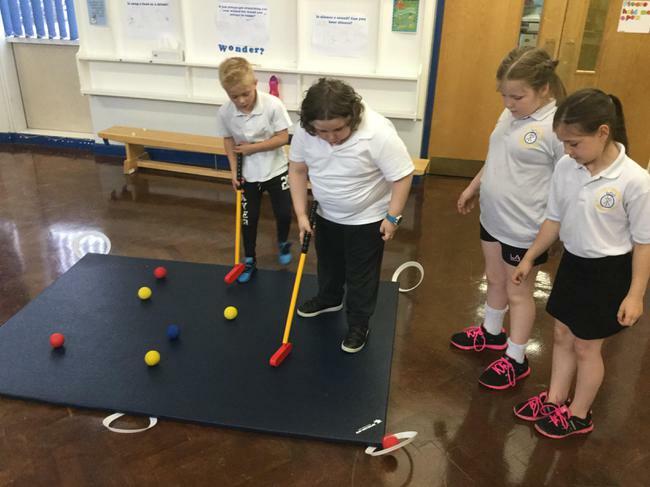 We practiced our putting distance control with lots of fun activities ... we especially enjoyed pool-golf! 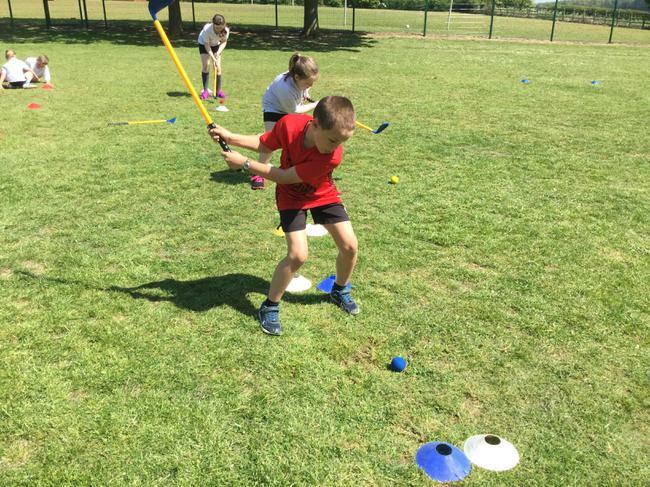 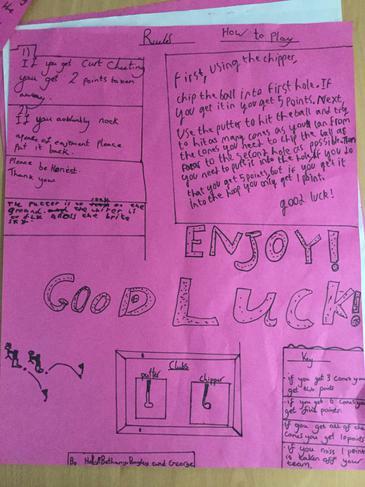 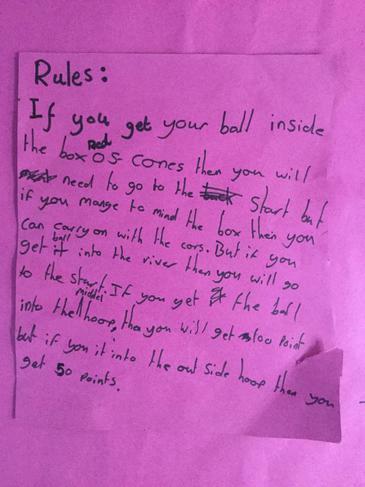 This week we focussed on distance control and accuracy. 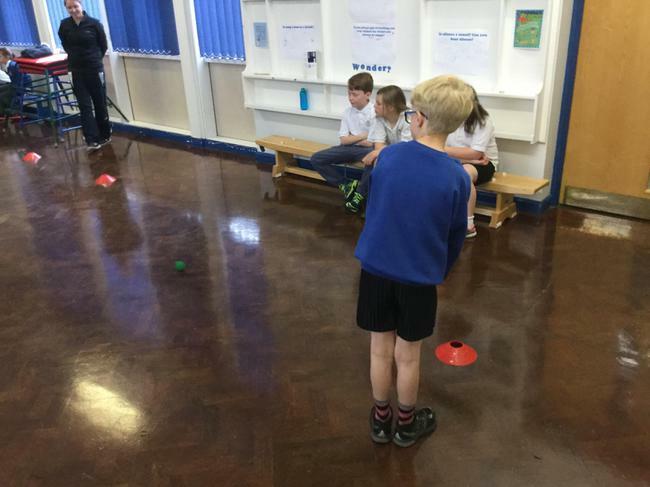 We spent time setting up each shot and practicing before we took the shot - this made a huge difference to our shots! 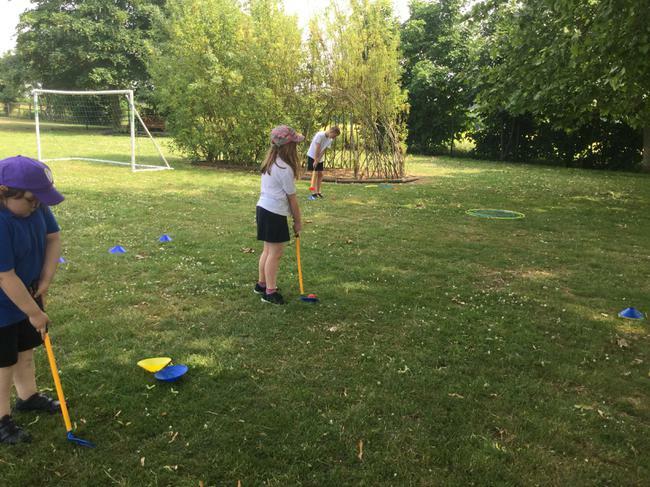 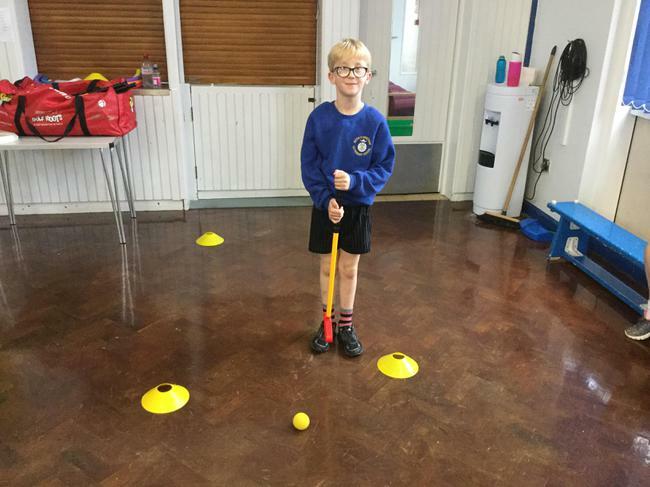 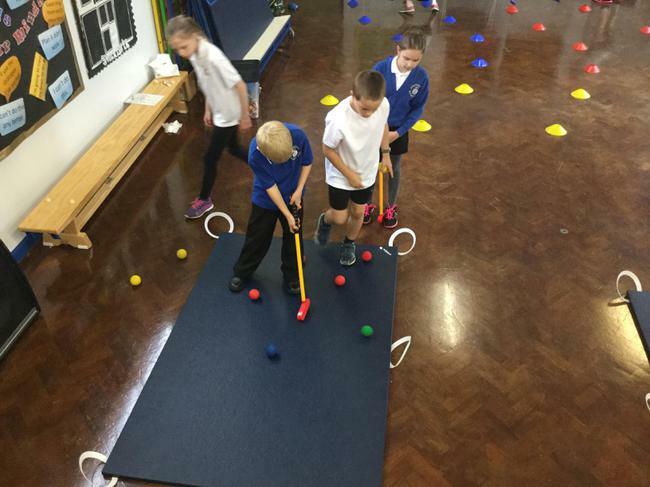 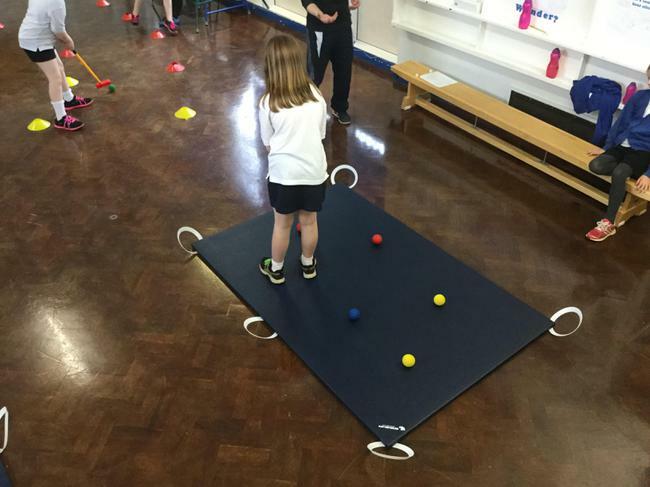 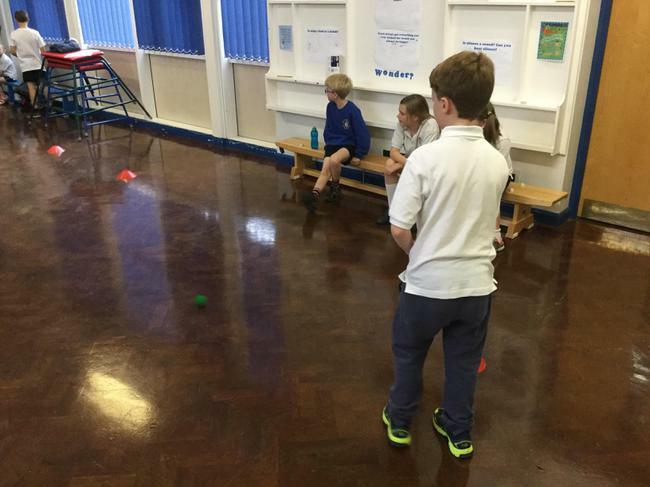 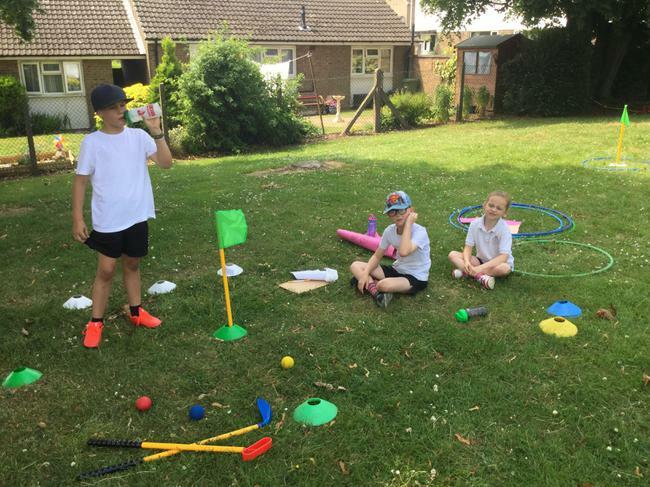 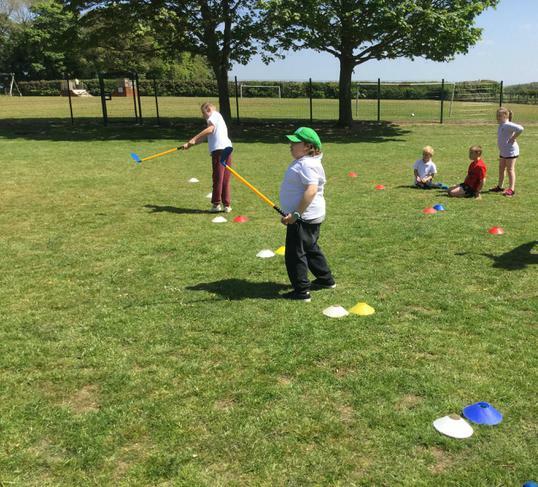 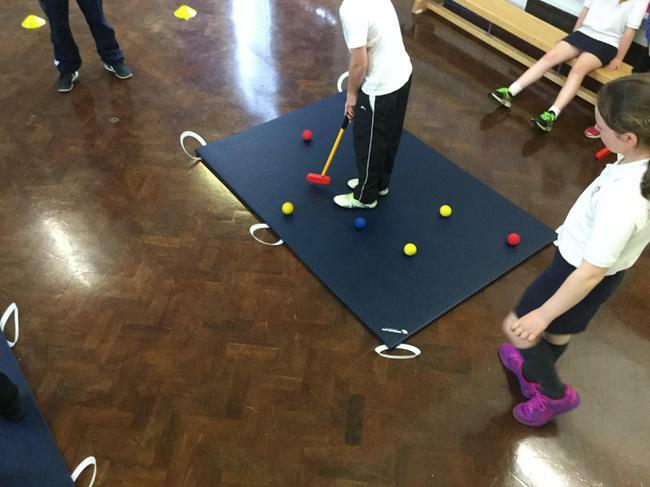 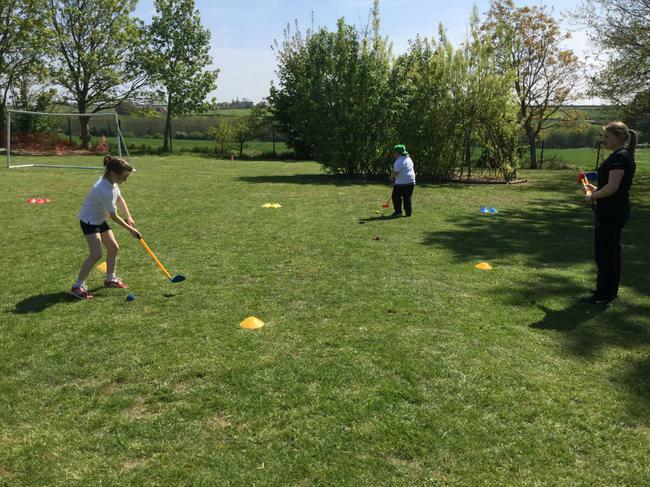 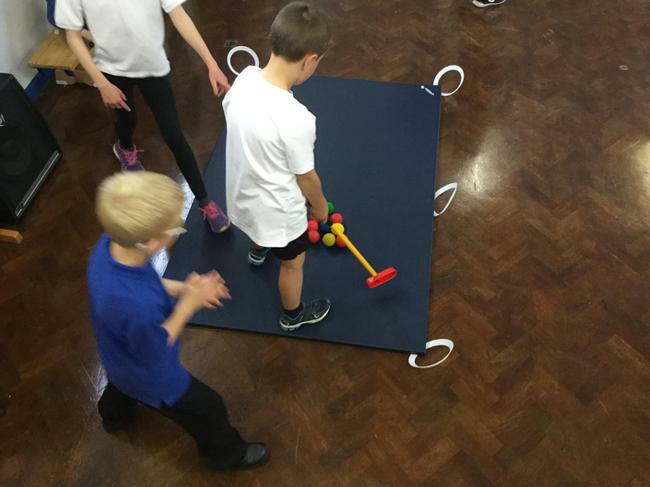 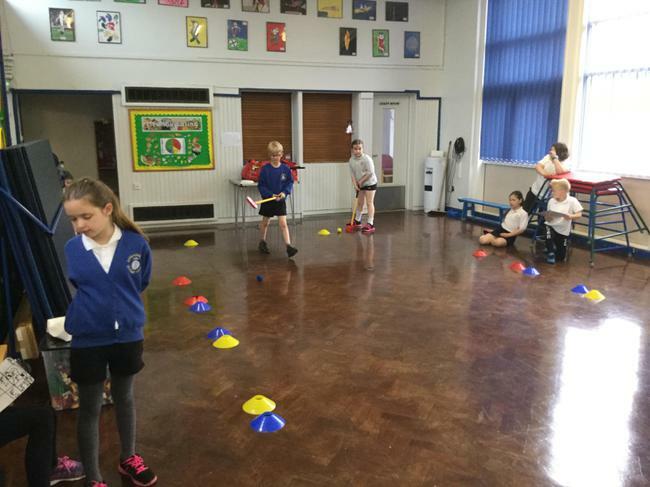 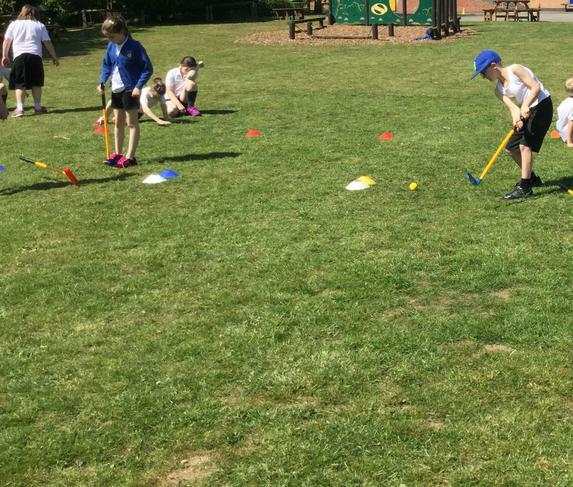 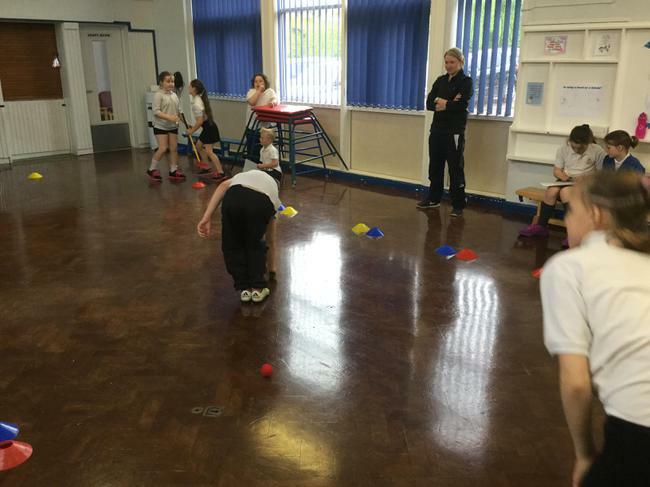 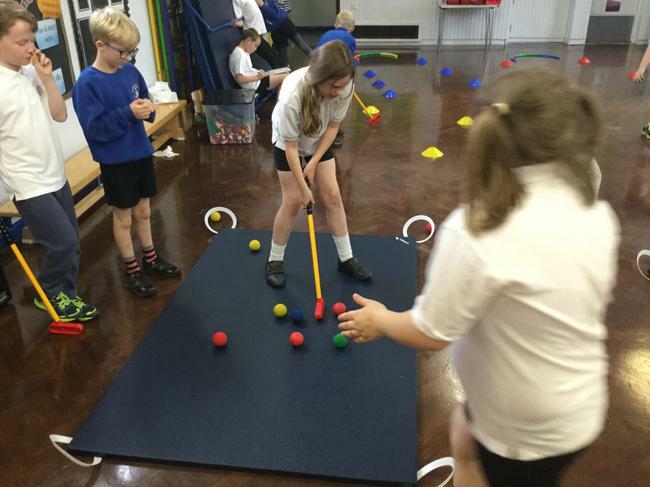 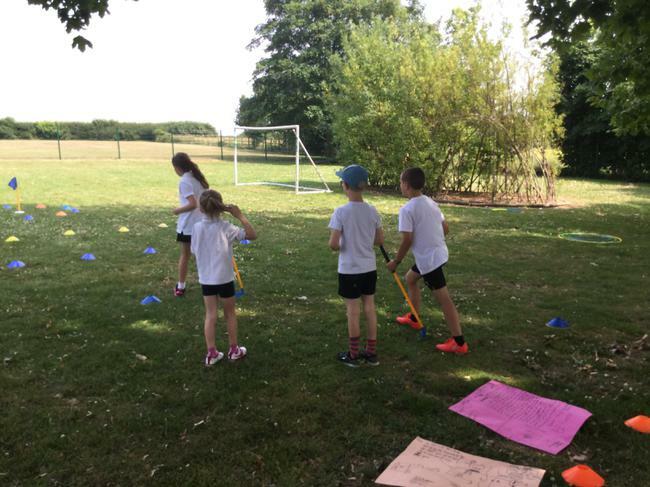 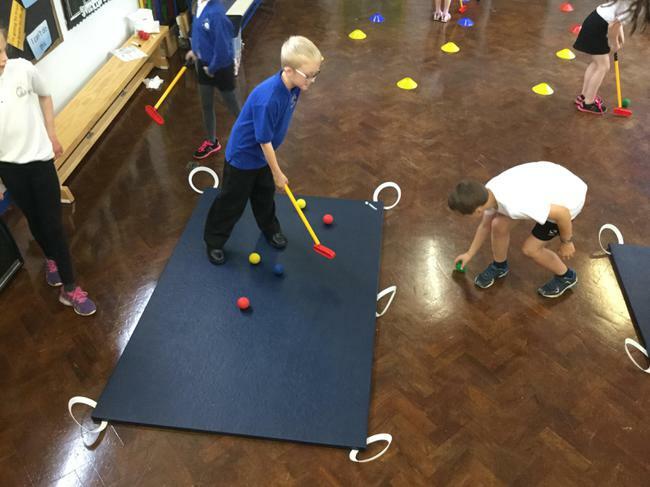 the children had a great time in golf today, learning how to control the distance the balls travels when they chip and when they putt.